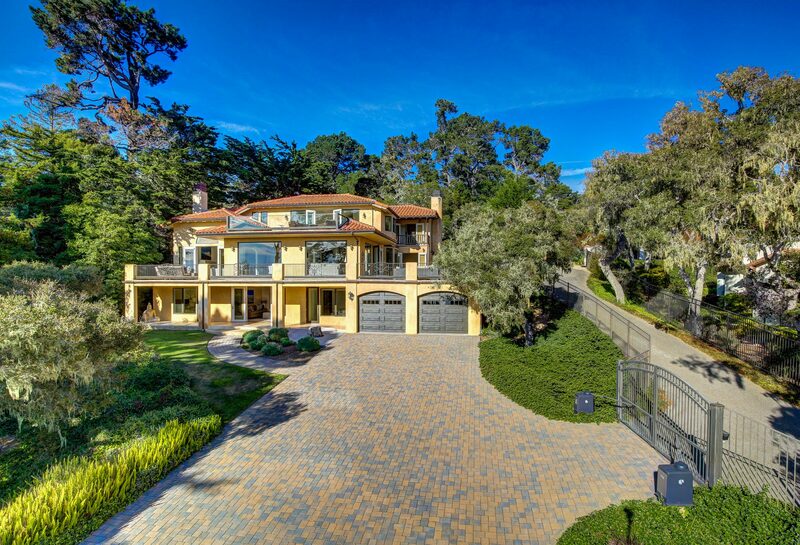 Unmatched! 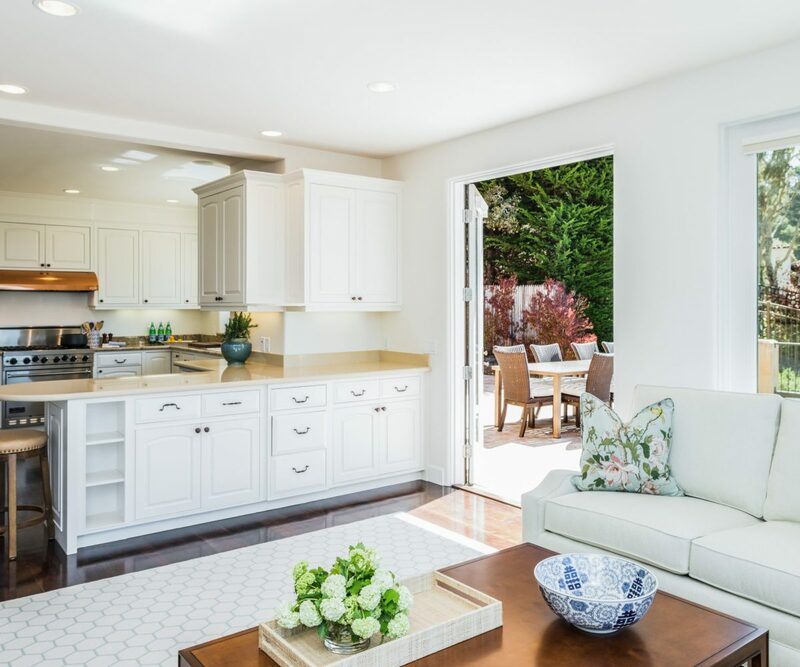 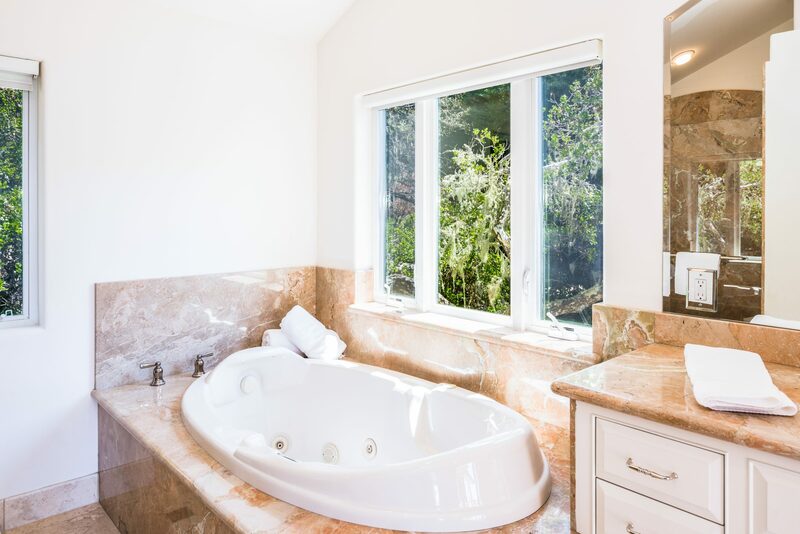 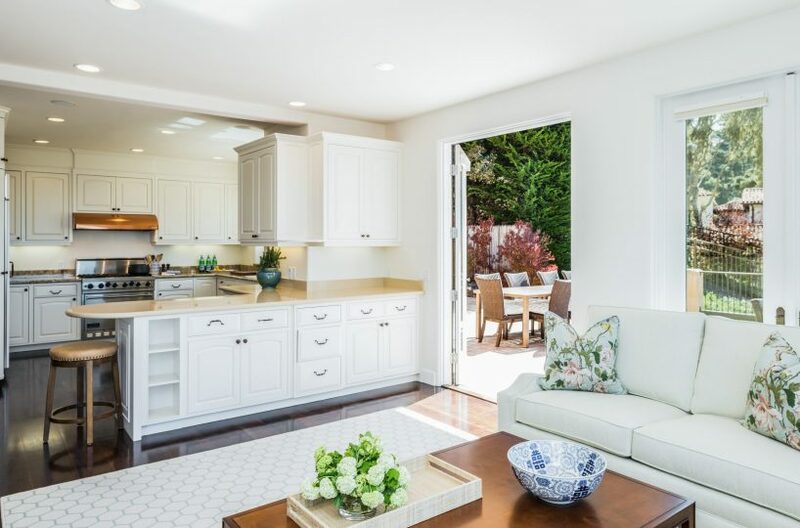 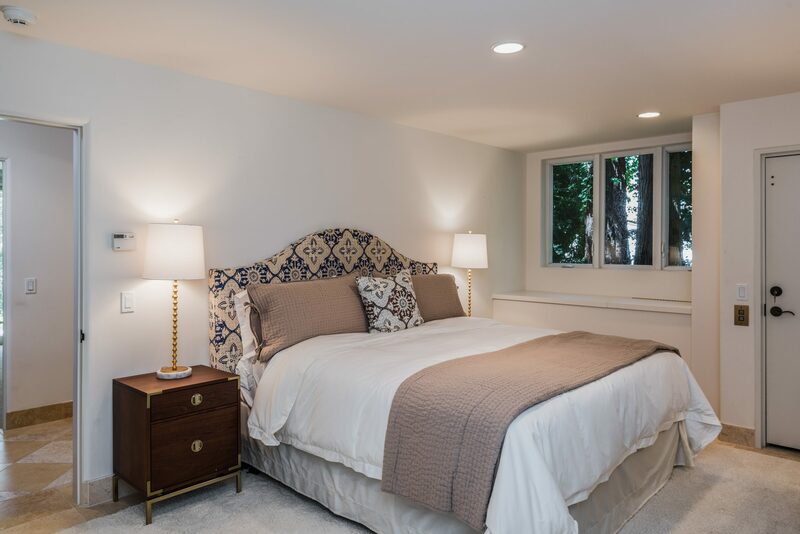 This newly remodeled and custom furnished home has every need covered. 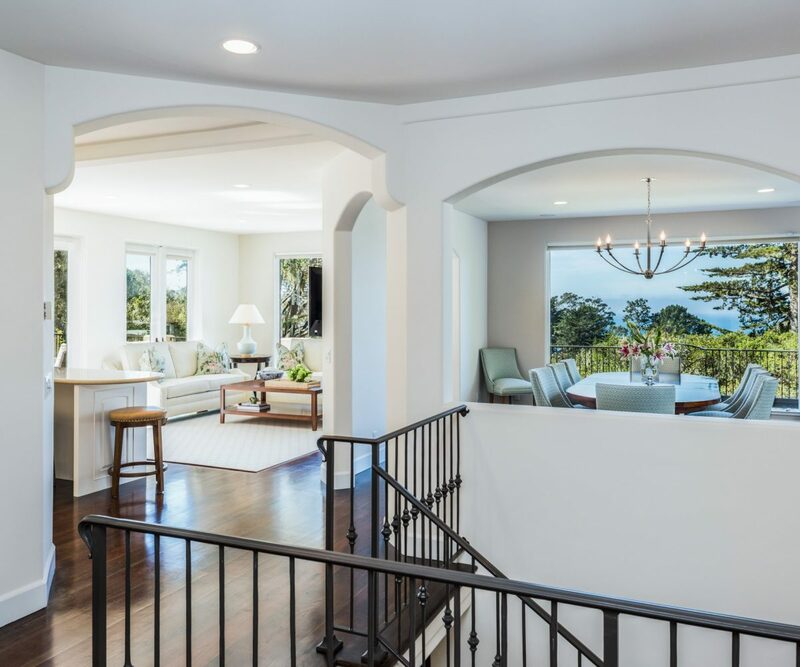 Open the entry door and the Pacific is in full view through the gorgeous dining, family and living rooms. 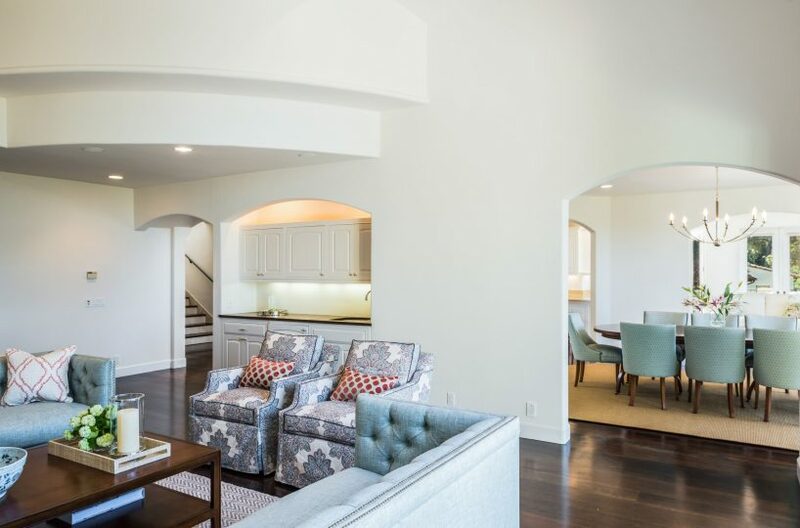 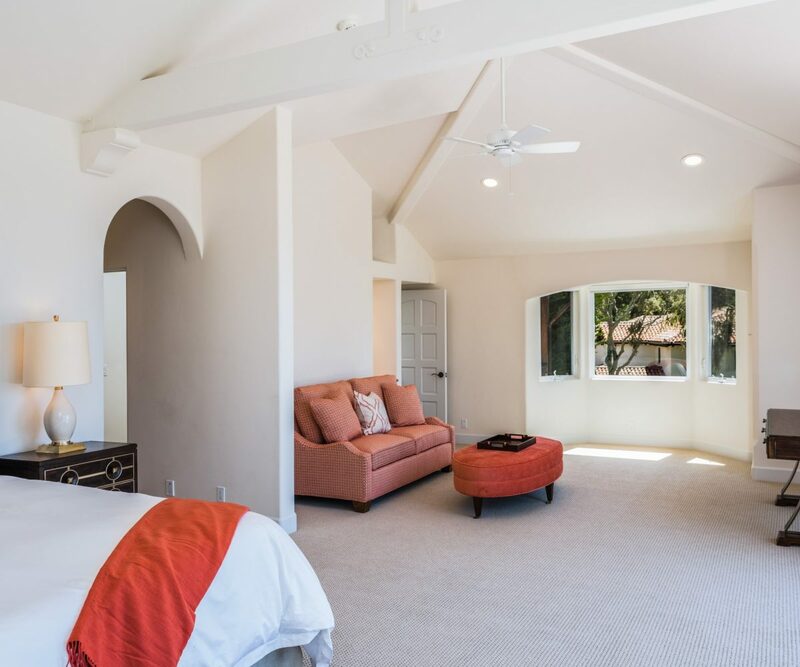 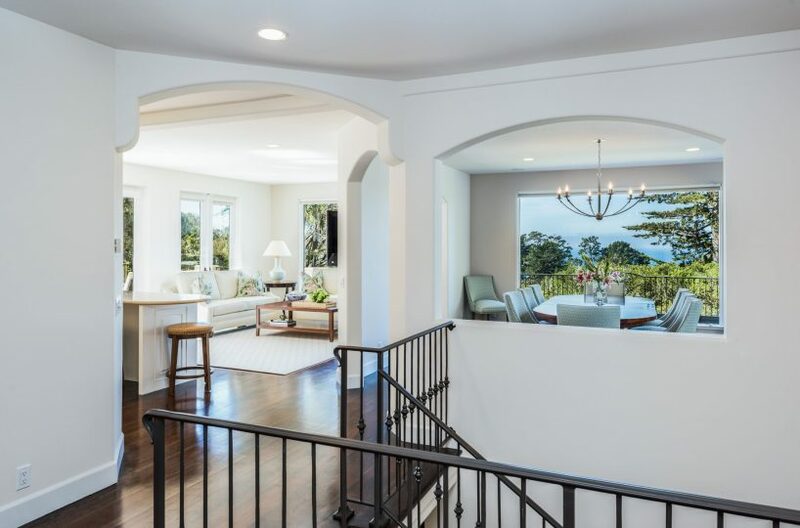 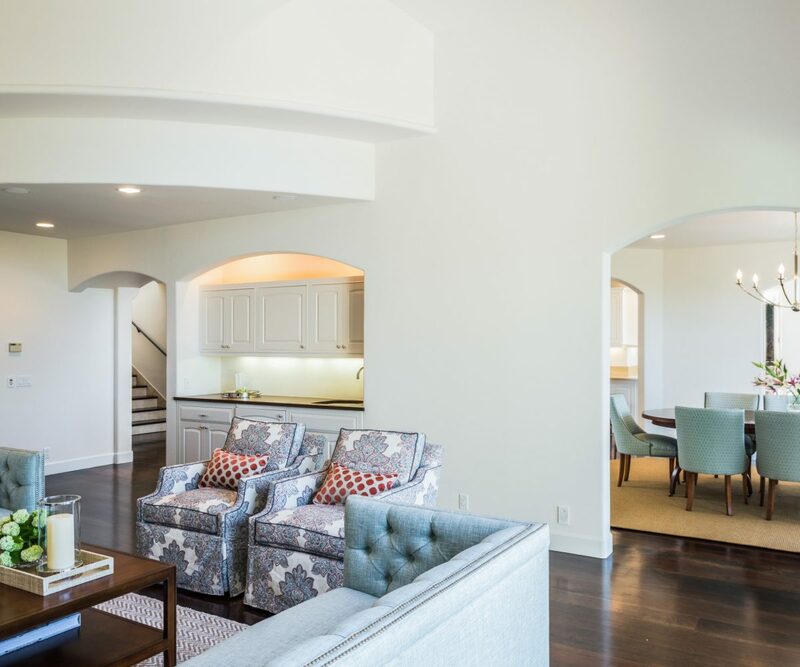 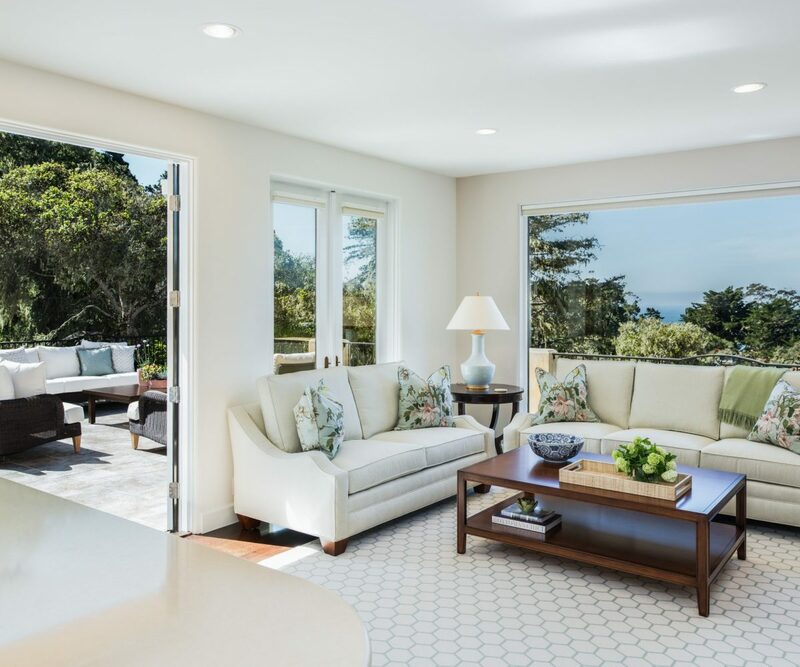 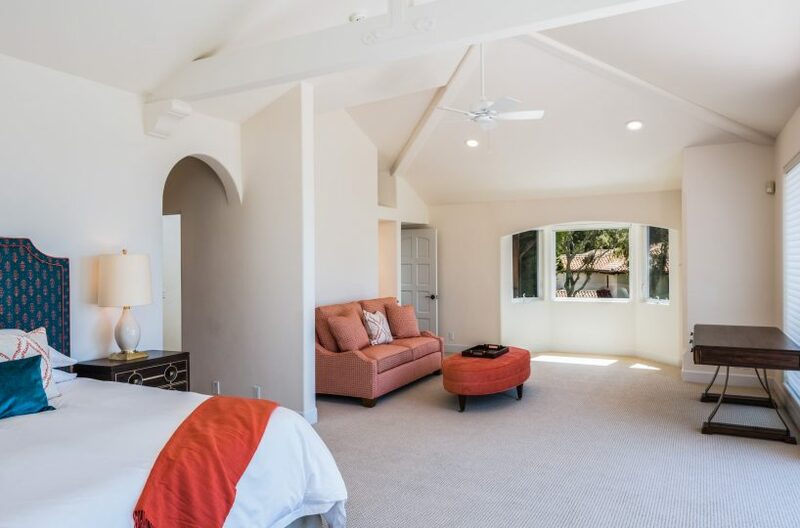 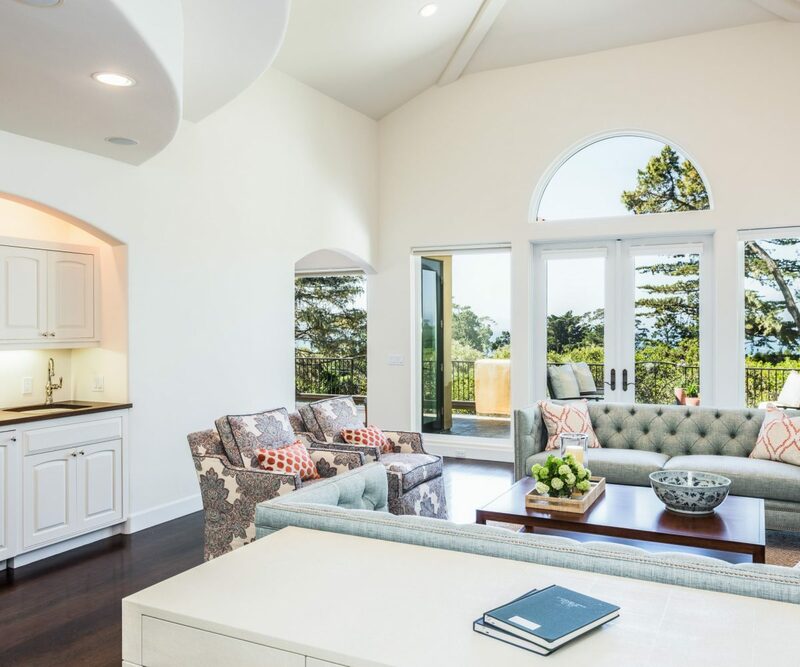 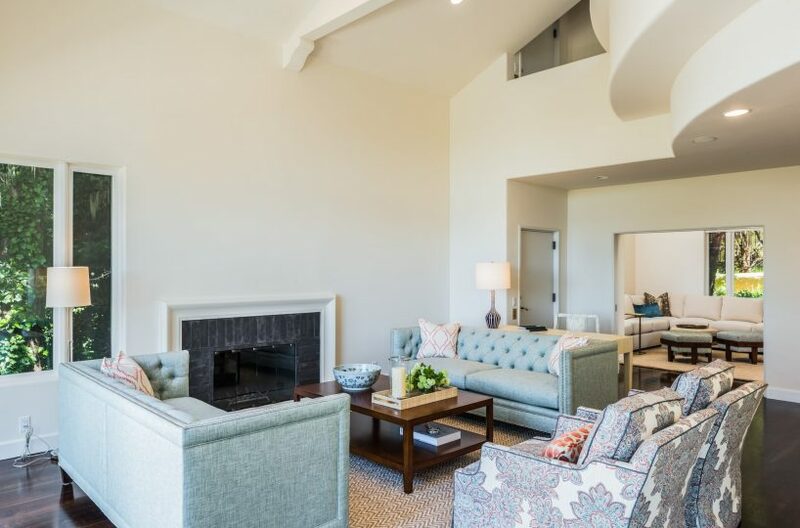 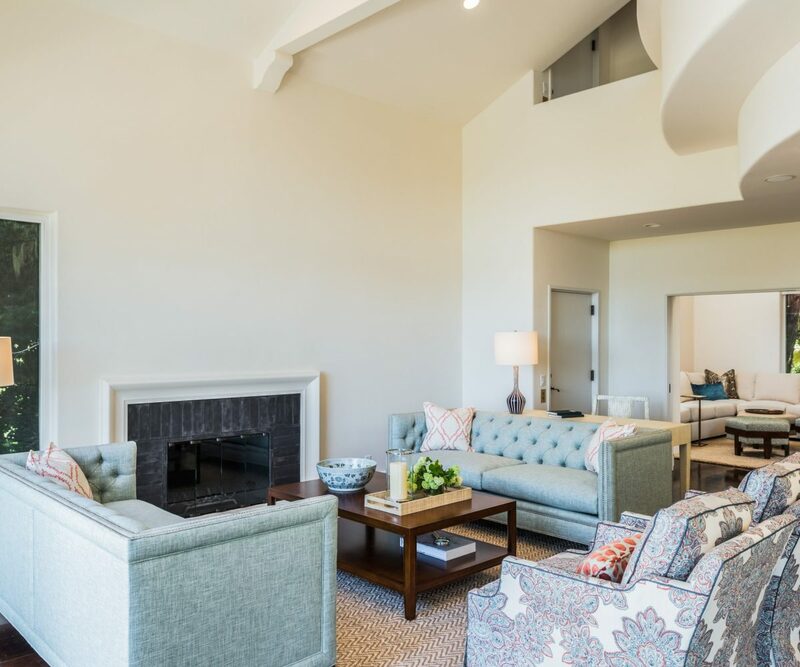 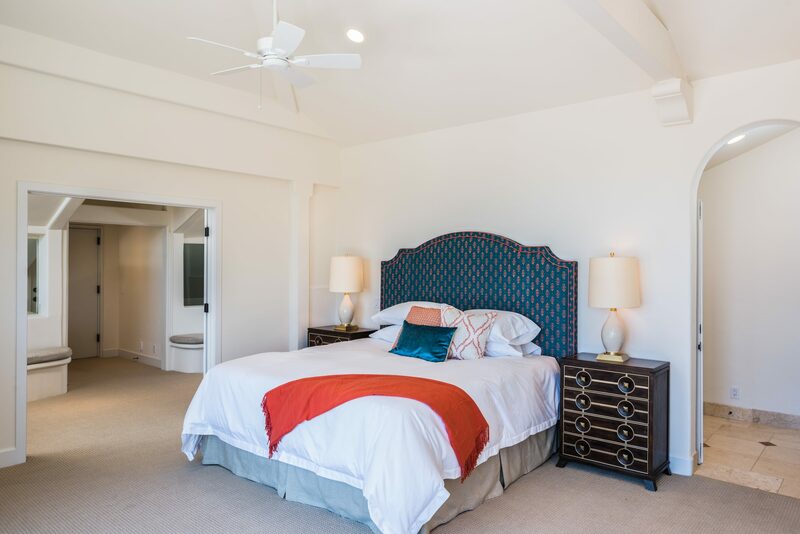 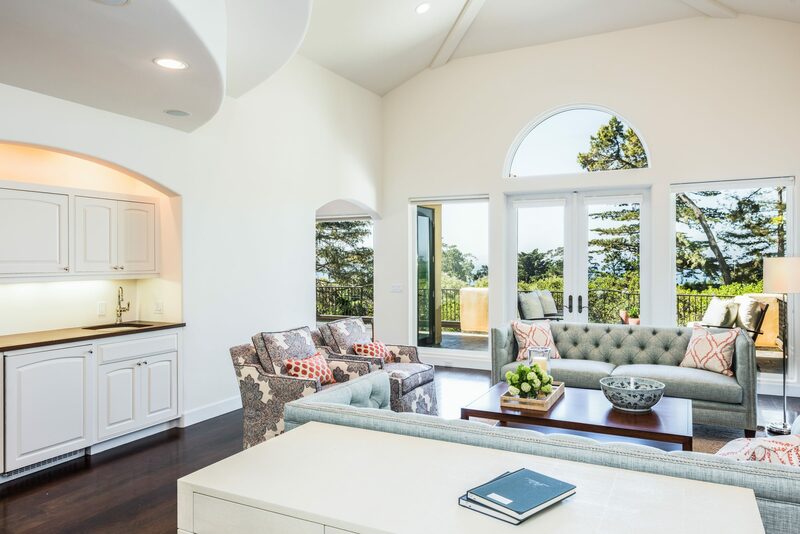 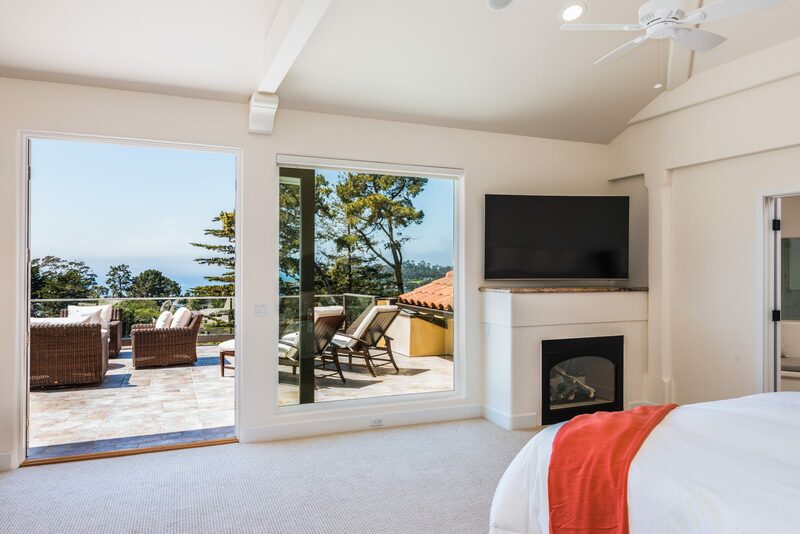 On this main floor, enjoy endless ocean views from Pt Lobos to Stillwater Cove from the Kitchen, family room, living room, dining room, TV room (with fireplace) and a Master-sized guest suite (with fireplace). 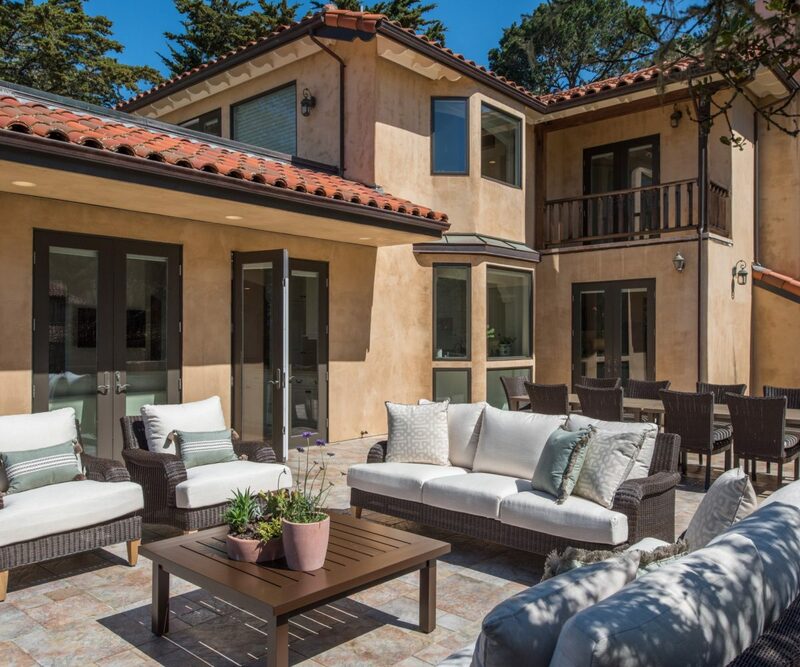 A fully wrap-around, tiled, south-and-west-and -ocean-facing terrace offers both dining seating and lounge seating for 10. 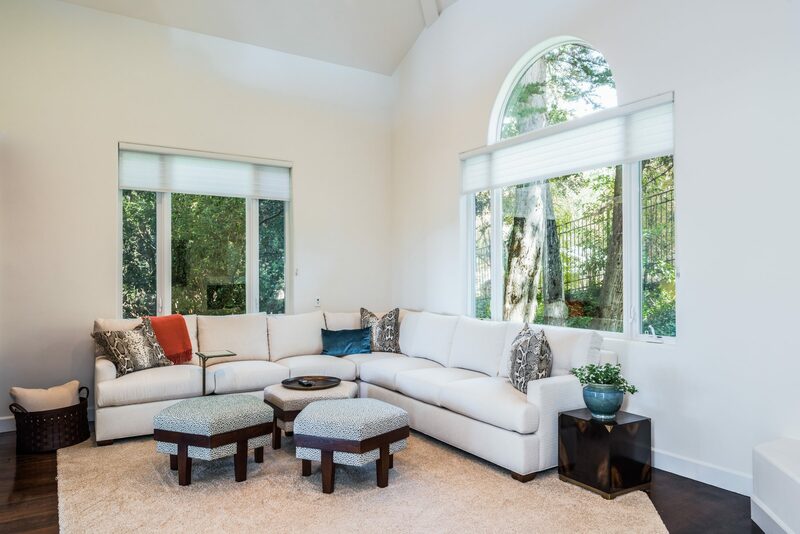 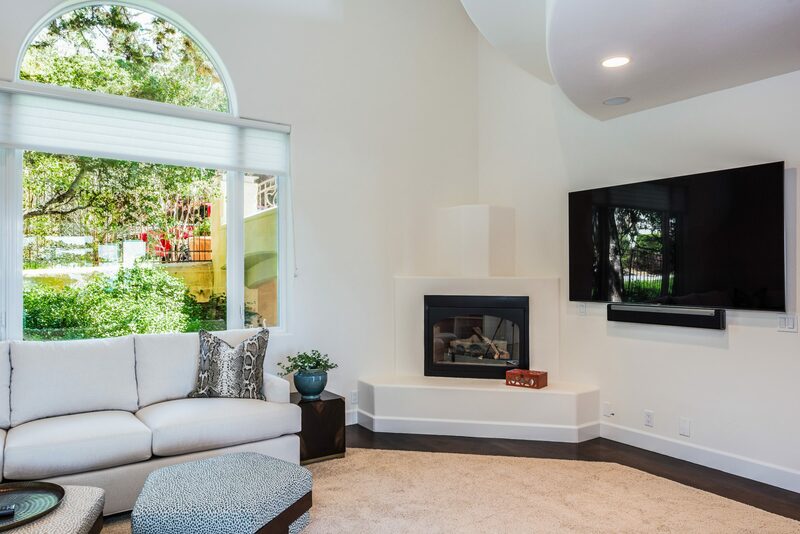 The formal living room offers a fireplace, a wet bar and a fridge for convenience. 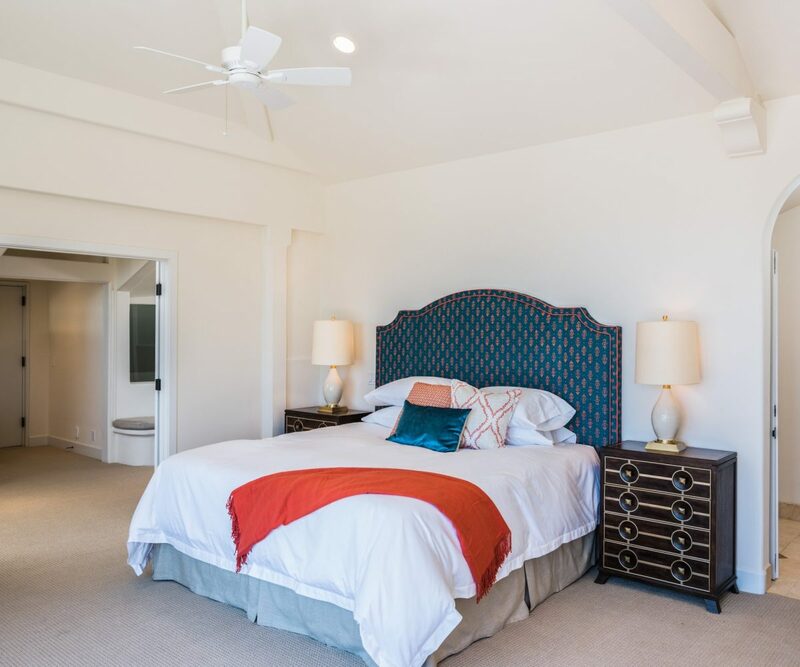 The Penthouse Master Suite is capped off by a tiled terrace with expansive, private ocean and golf course views and lounge seating for six. As well, you have a fireplace, sofa, desk and a marble dressing area. 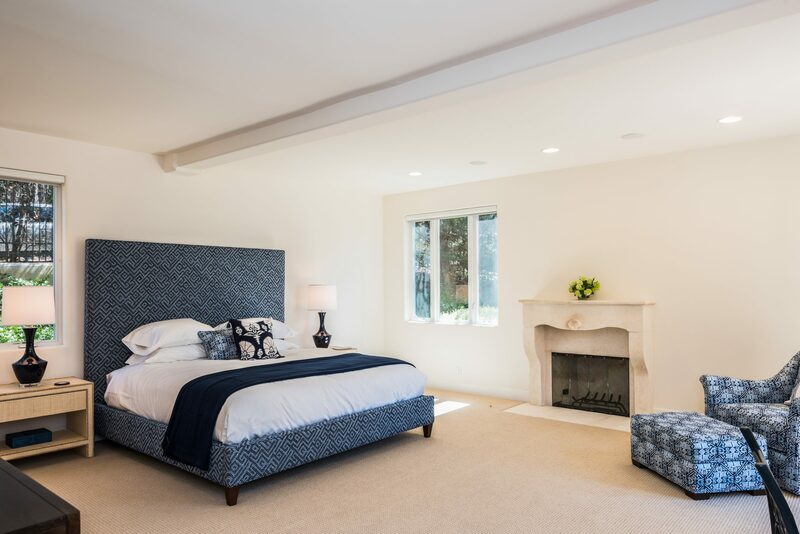 Three lower level bedrooms share their own expansive sitting and TV room. 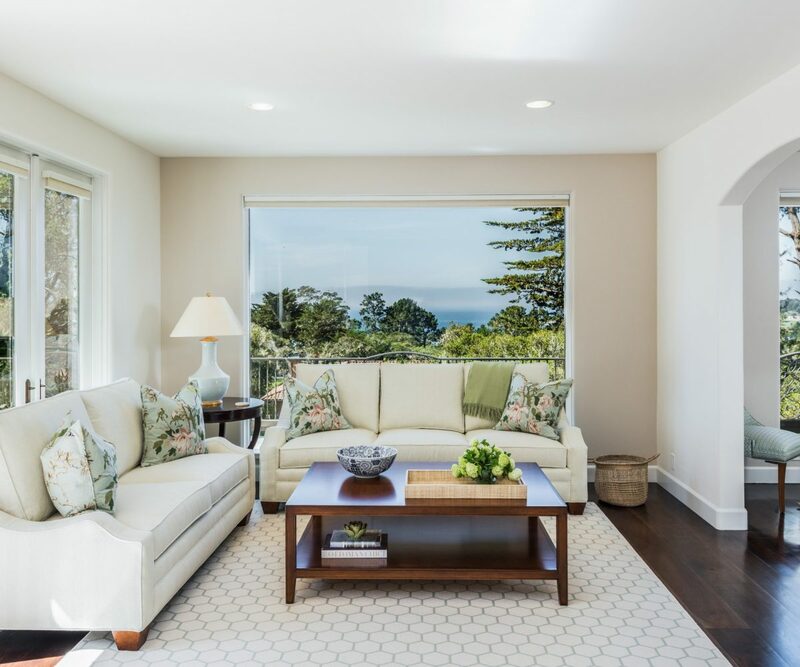 Two bedrooms having ocean looks and covered, tiled terraces themselves. 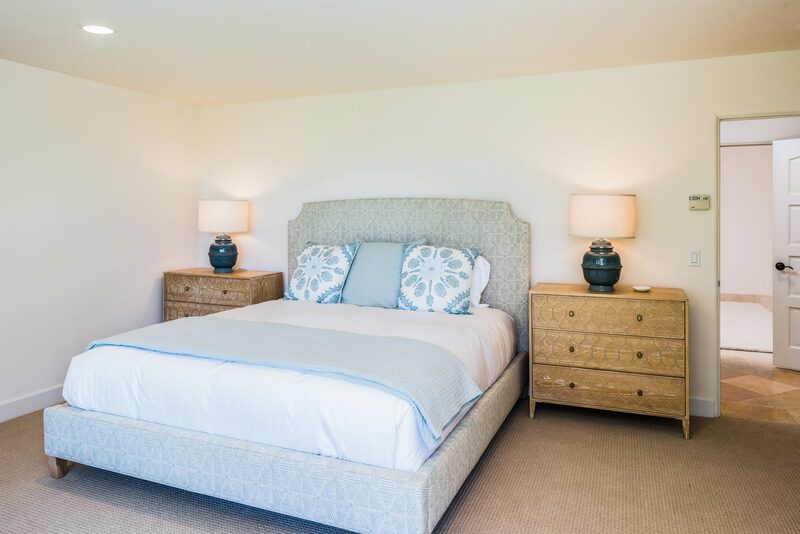 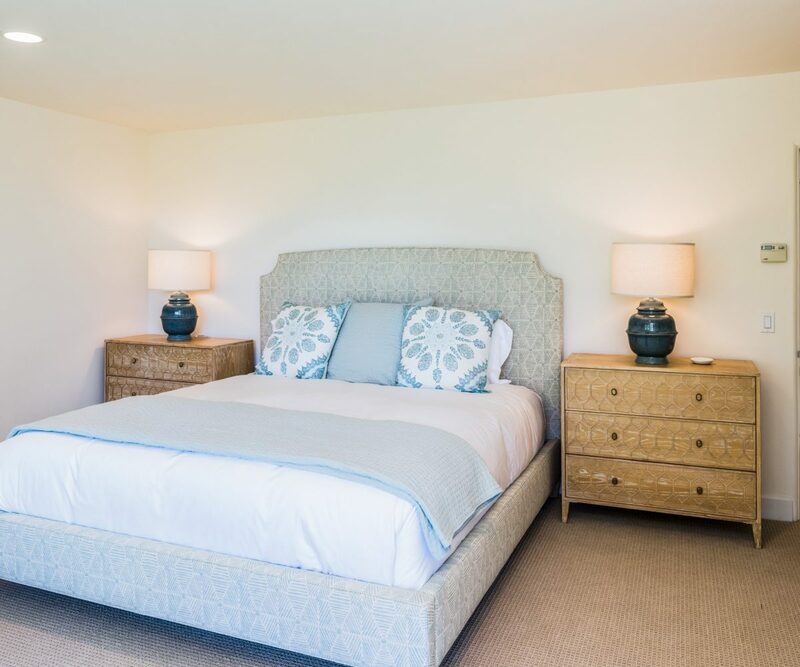 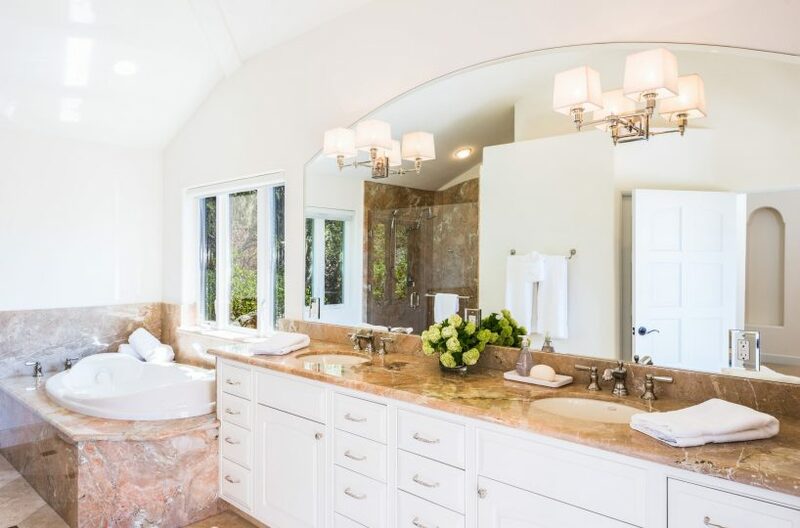 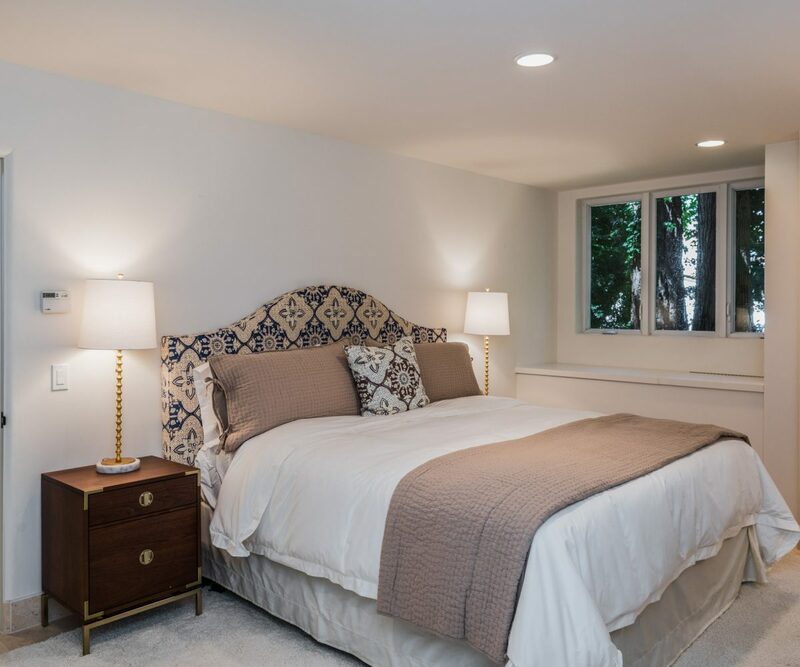 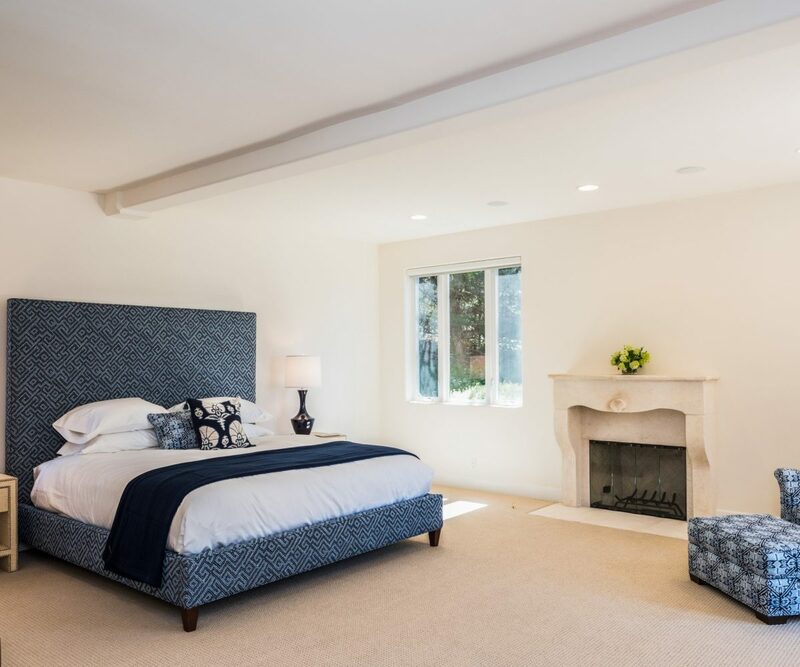 All 5 bedrooms boast King beds, customized closets, and exceptional drawer space. 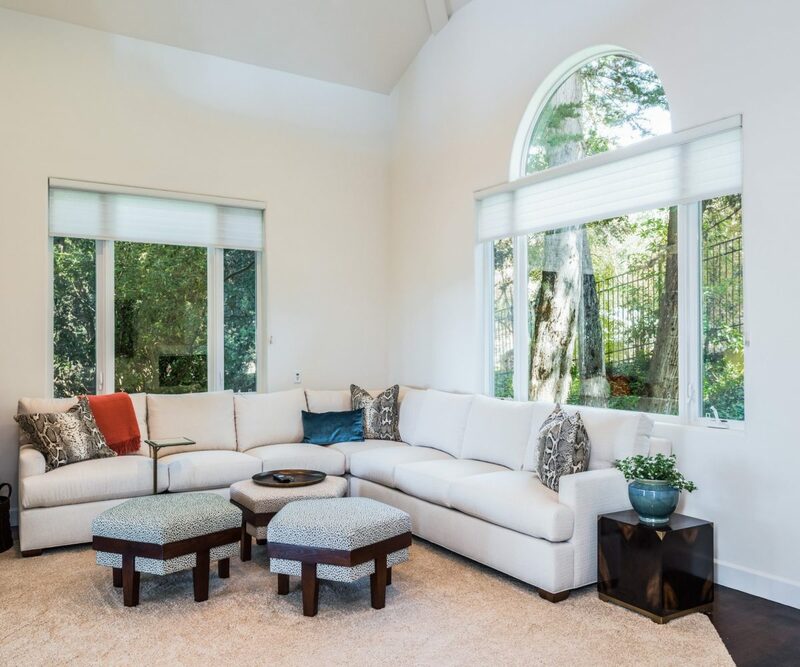 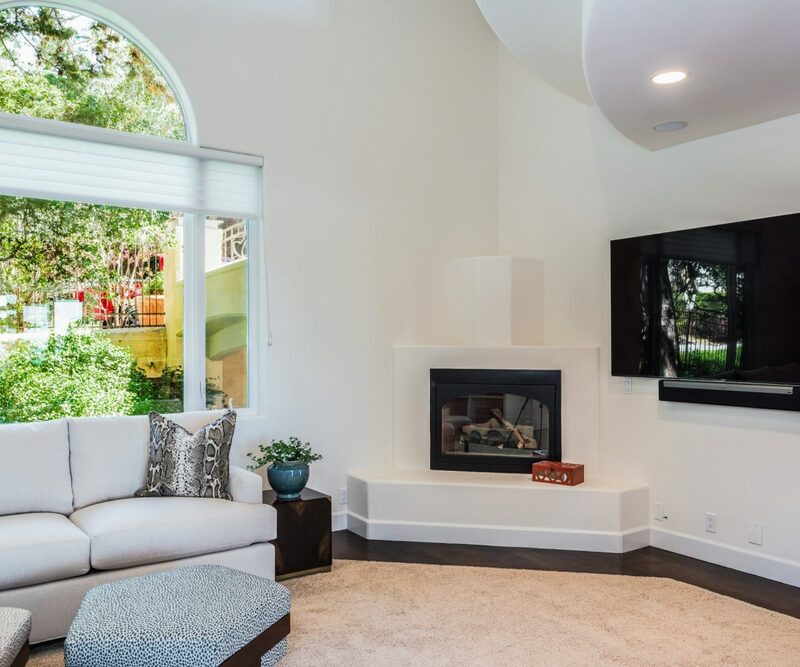 This home is a TV lover’s dream with a 75 inch in the TV room, 65 inch TVs in the master and main guest rooms, a 55 inch in the lower level sitting room, and 40 inch in the kitchen/breakfast bar area. 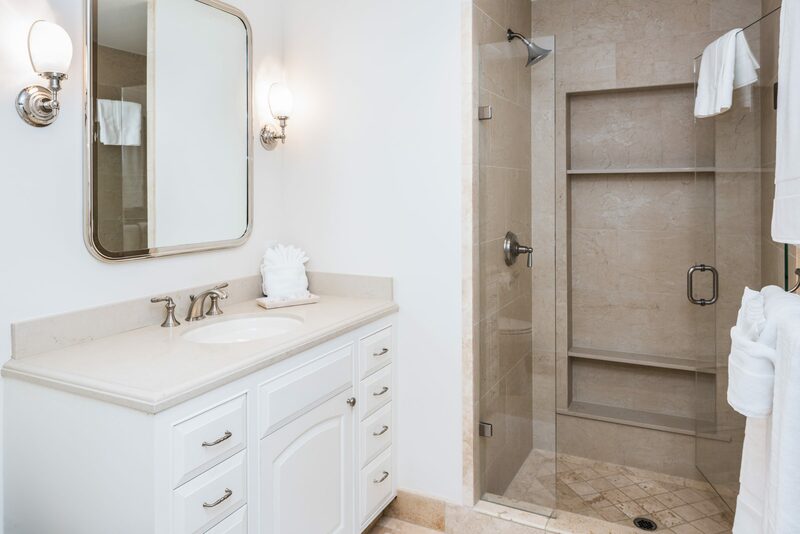 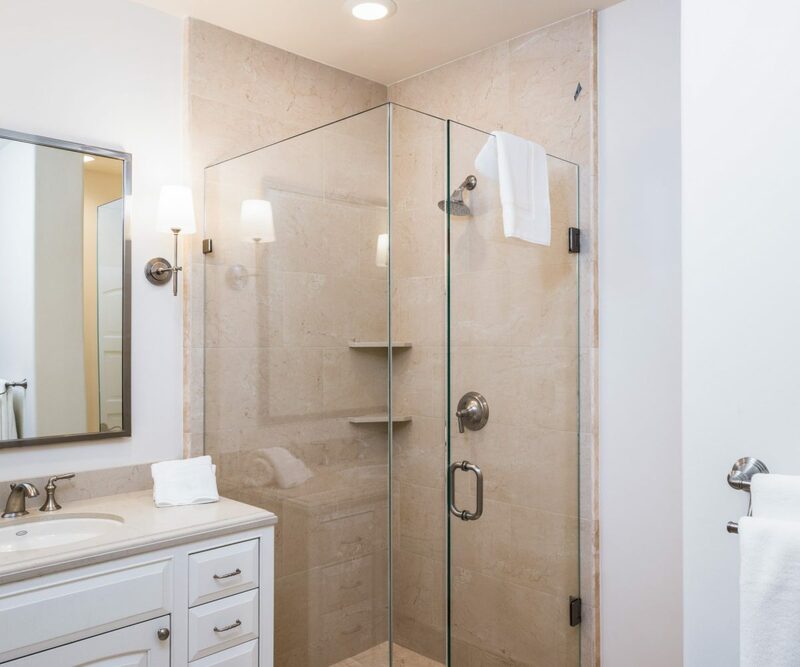 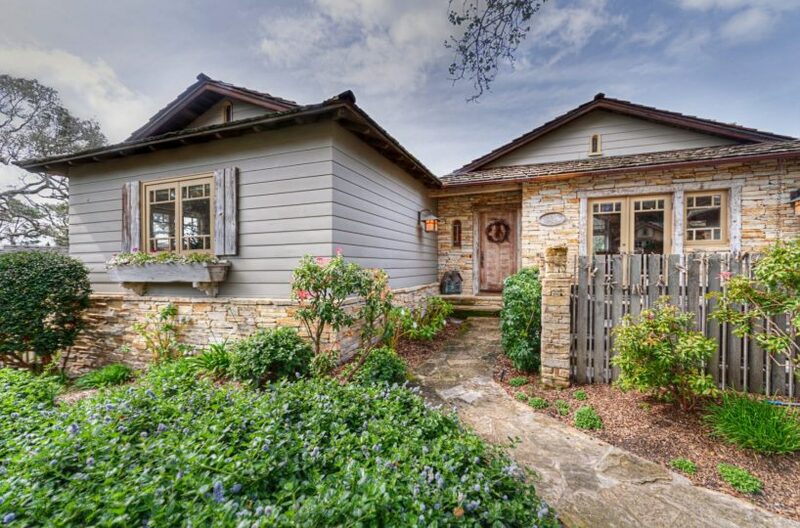 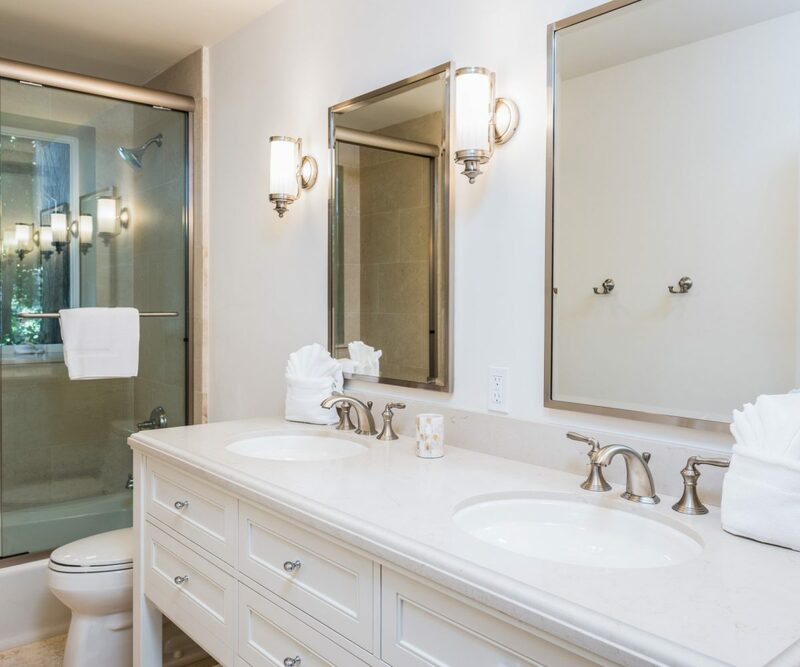 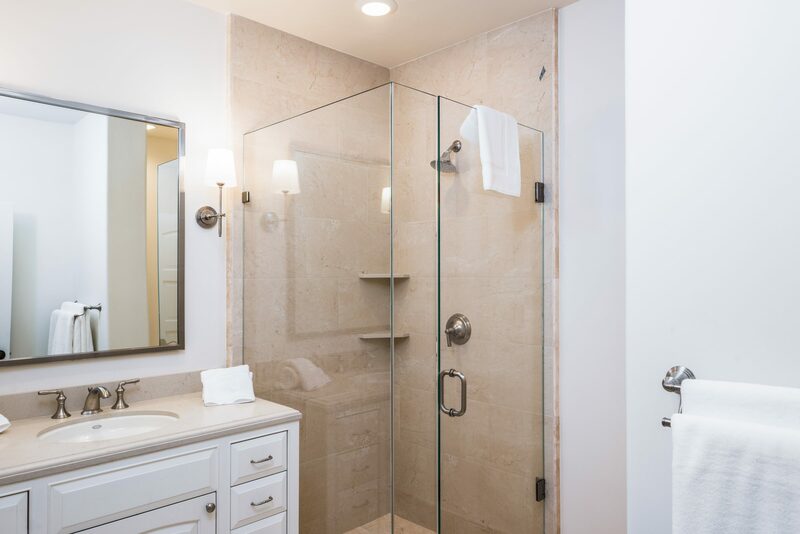 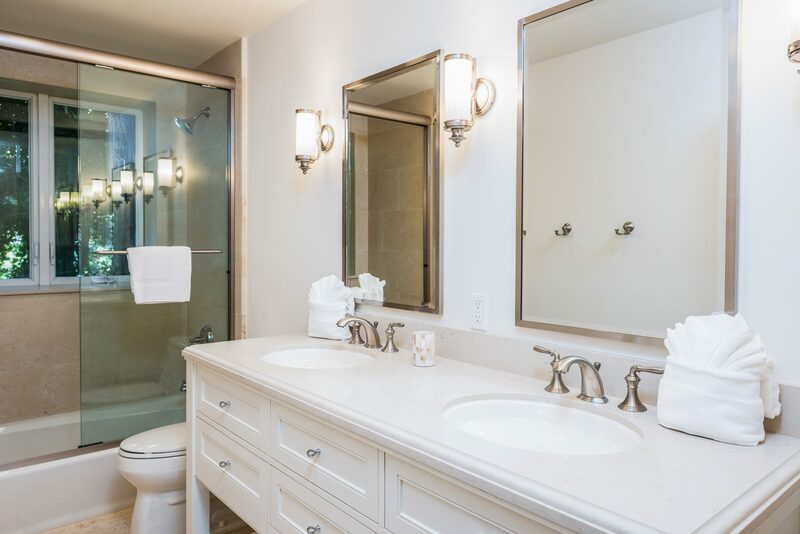 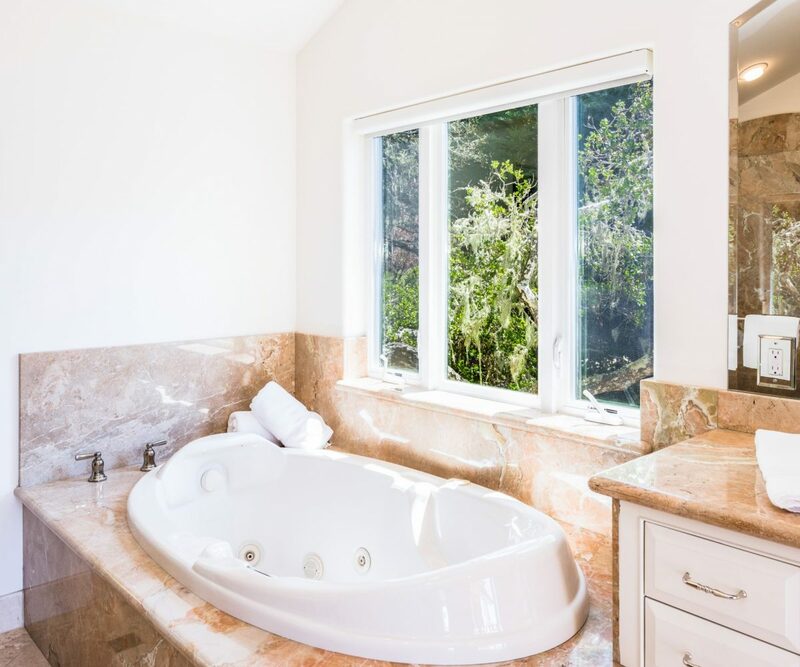 For privacy, there are gates to the immaculately tiled 3-4 car garage and the large, rear parking area. 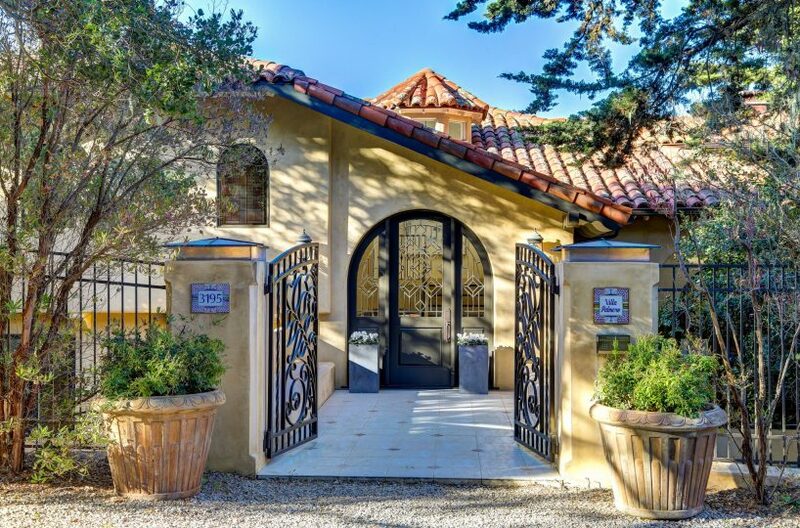 A second privacy gate protects the street level main entry. 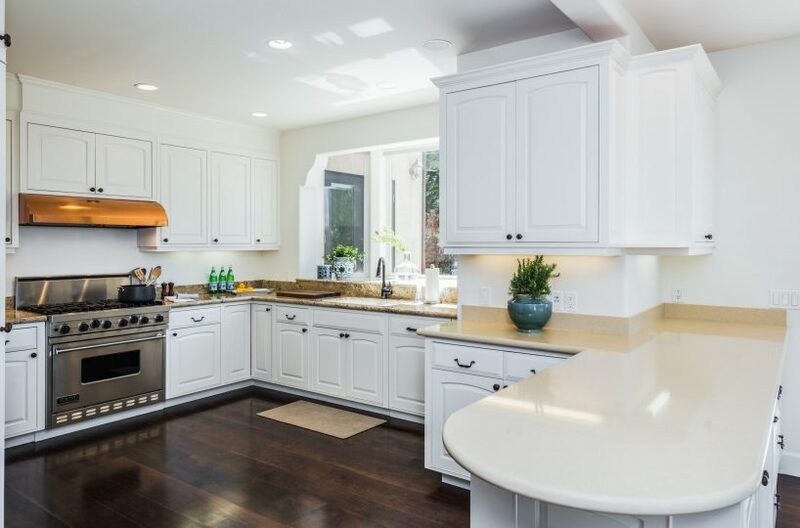 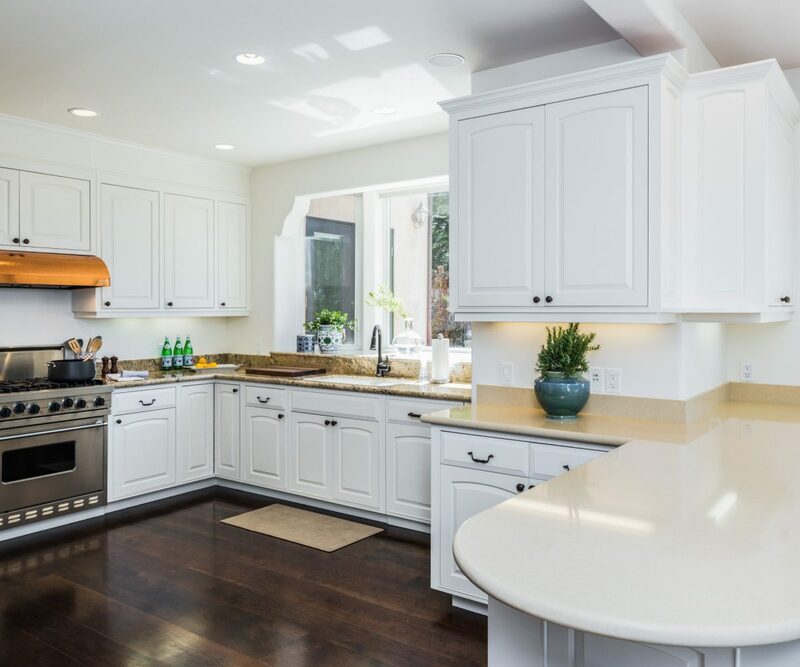 Two washers and dryers make this home quite easy to maintain, and a “spillover” second refrigerator is available in the garage. 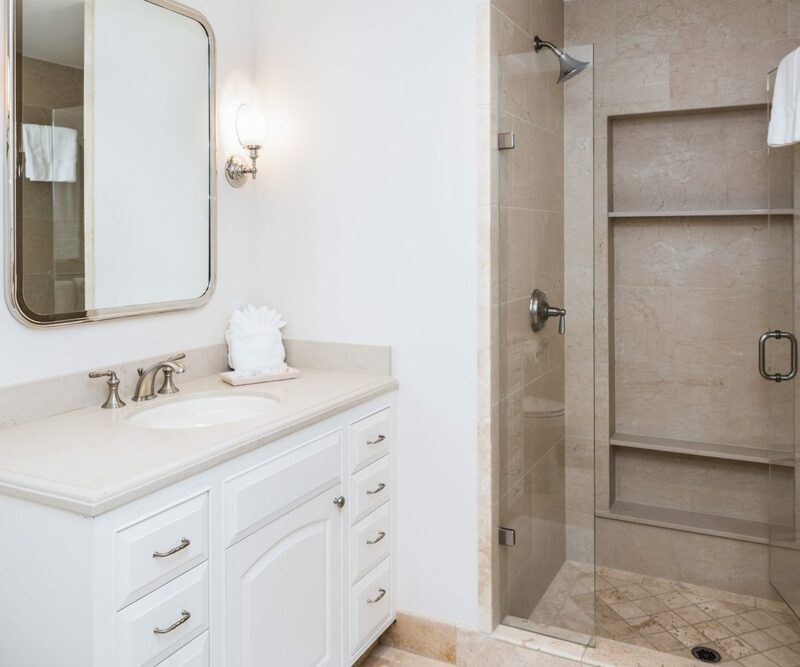 A dumbwaiter services all three levels from the laundry room, to the kitchen, to the master suite. 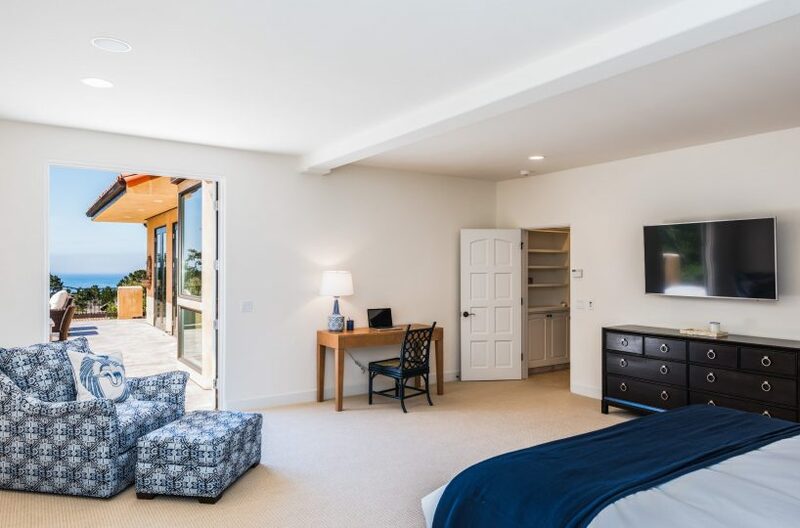 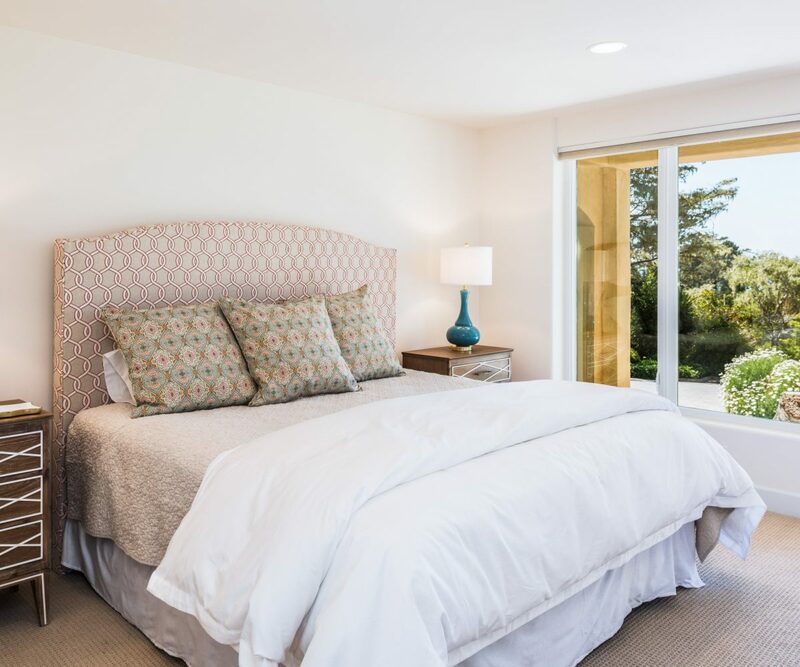 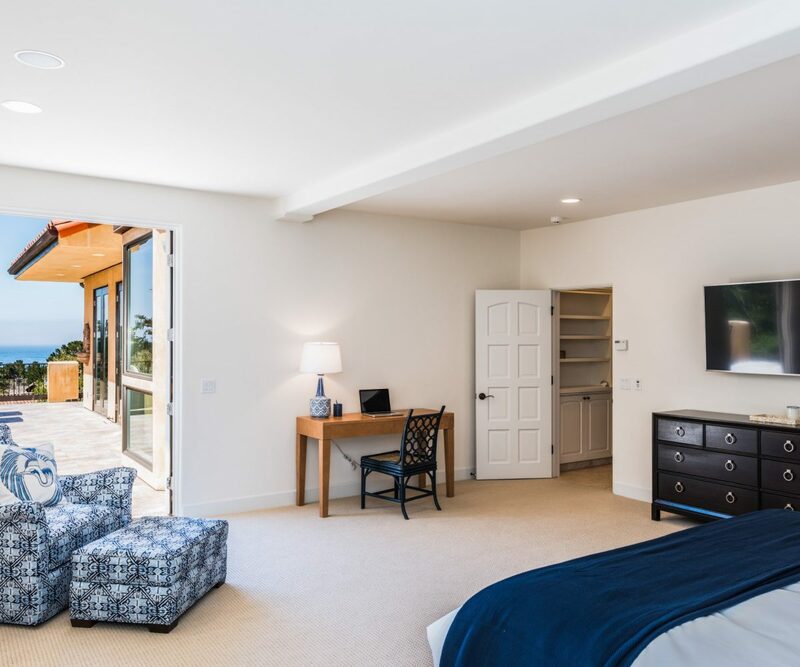 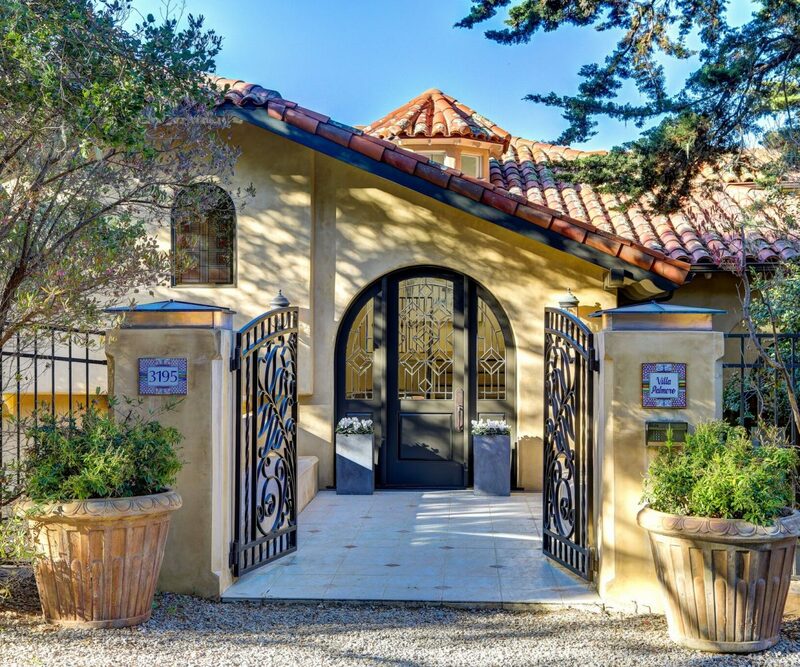 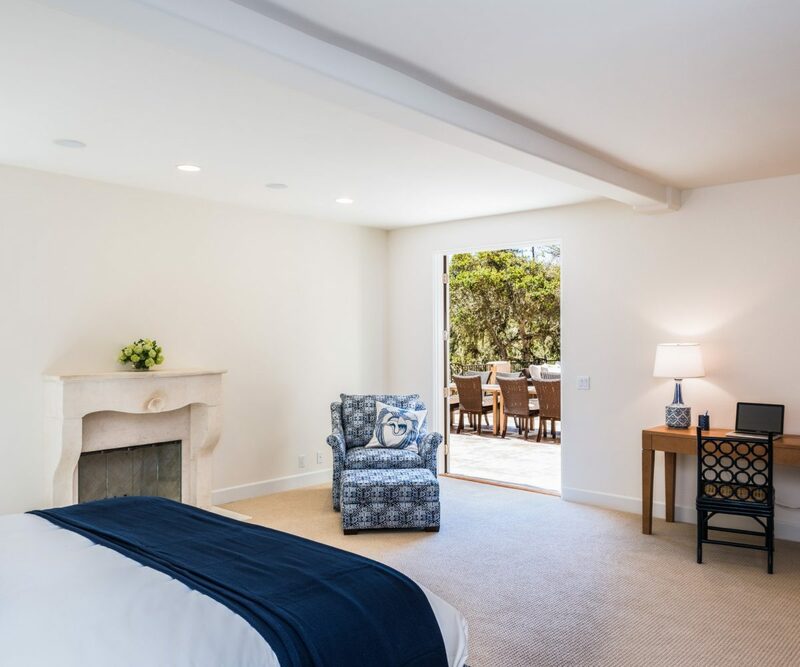 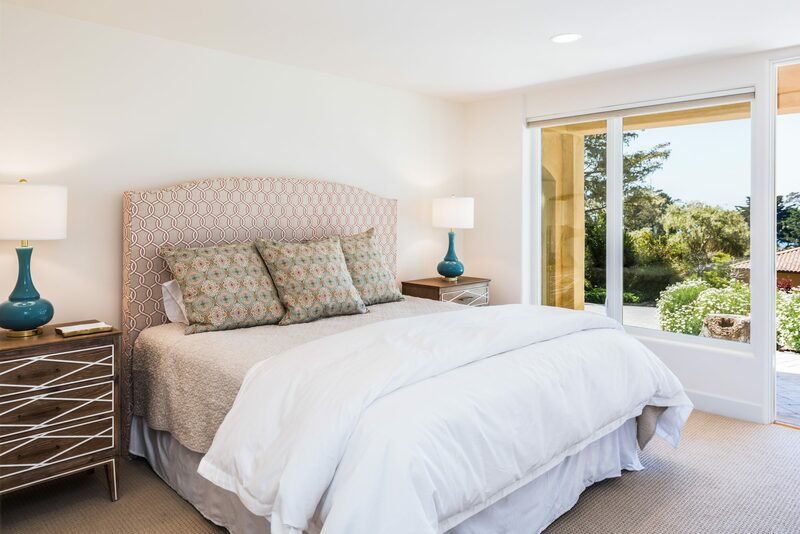 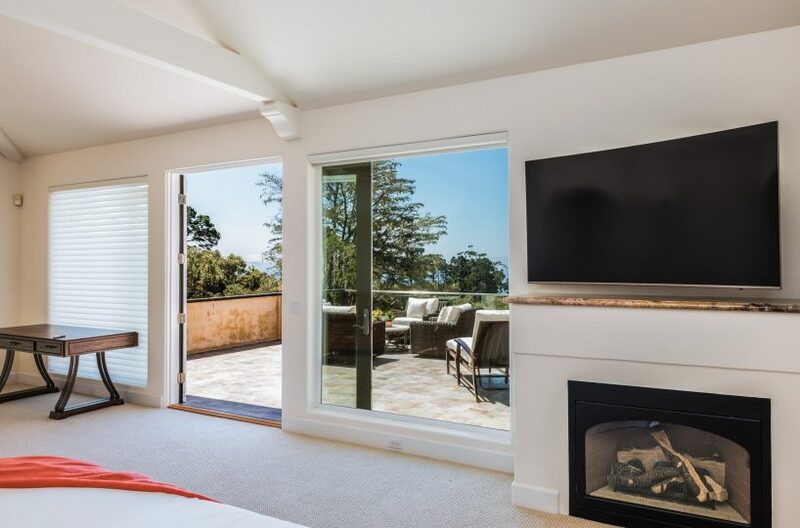 Outside, a private 100 yard walkway leads down our hill to 17 Mile Drive at the 15th hole of the Pebble Beach golf course… where you are left with a pleasant few-block walk to The Lodge at Pebble Beach, its restaurants, shops and myriad amenities. Or, you can drive this short distance past the incomparable Spa and the Beach Club to the unmatched Lodge, far less than a mile away. 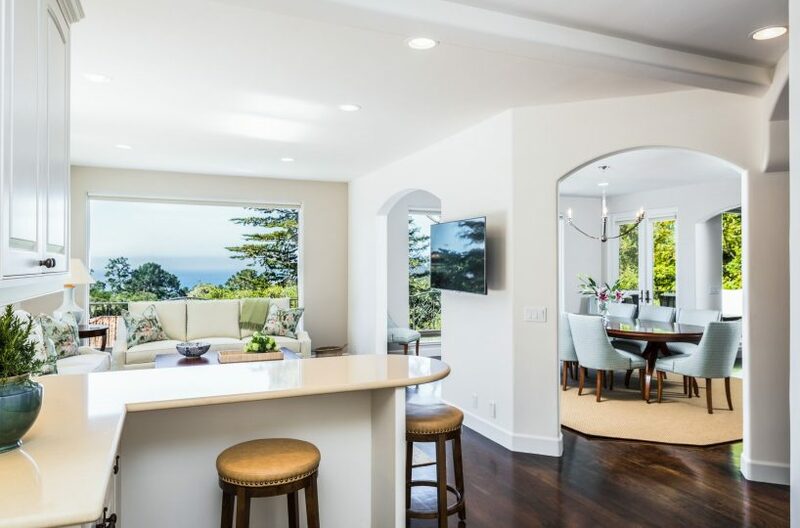 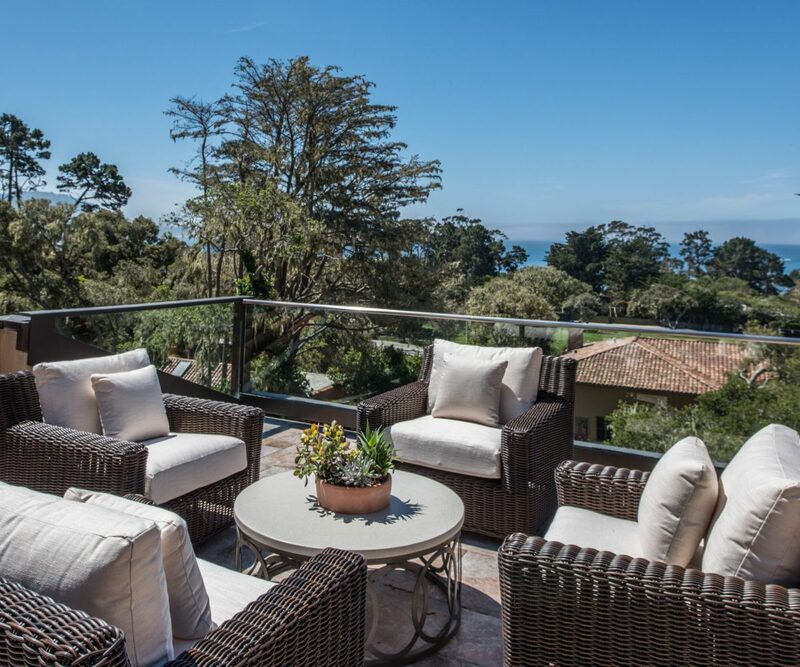 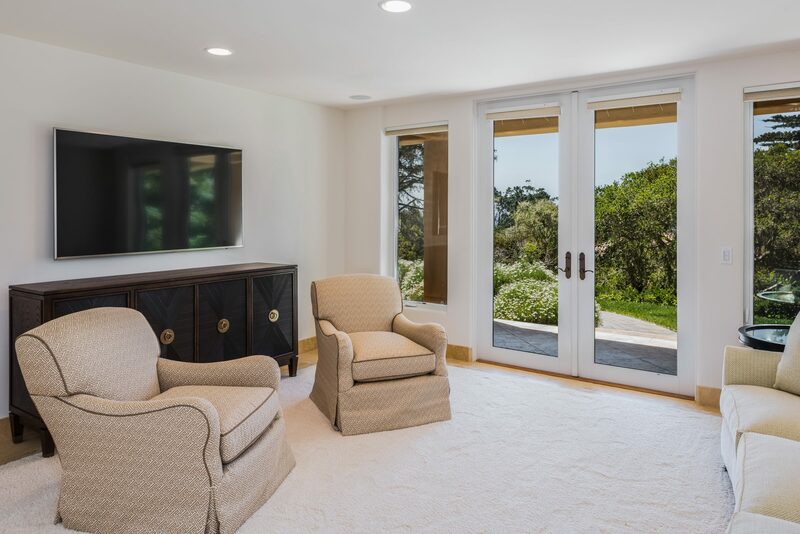 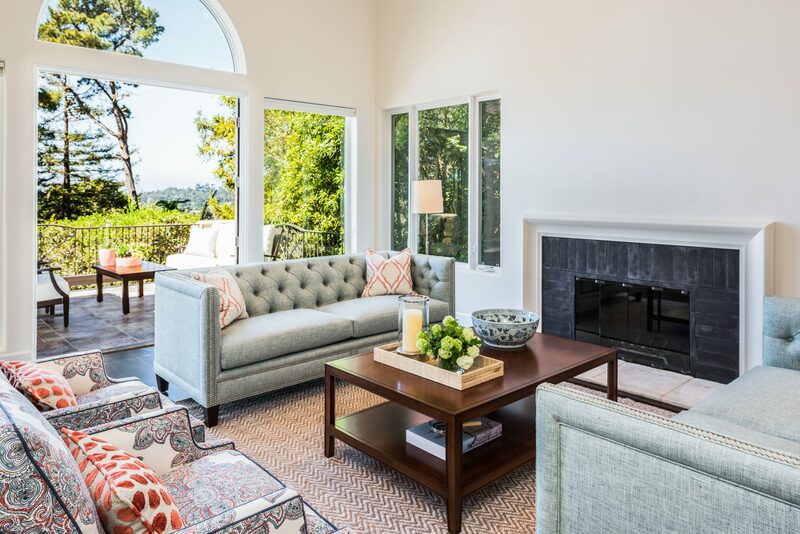 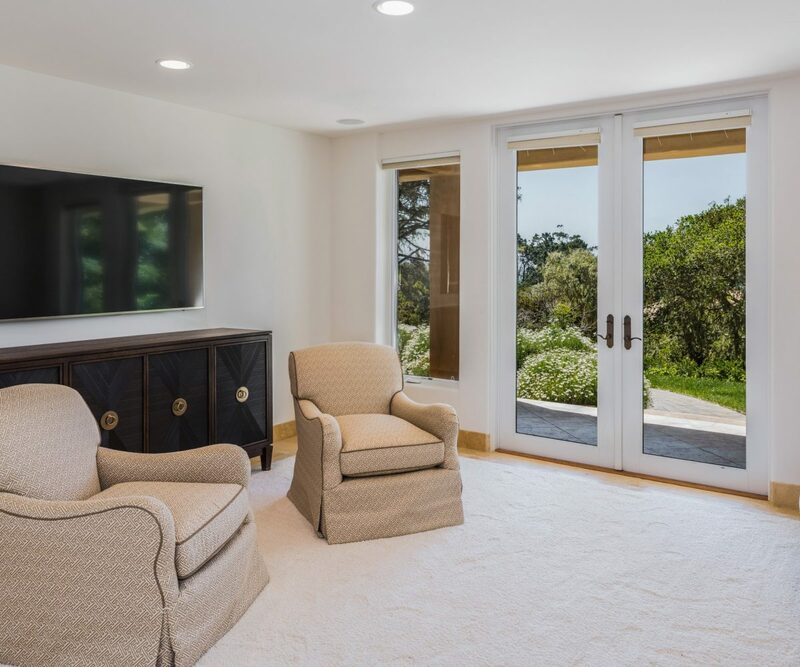 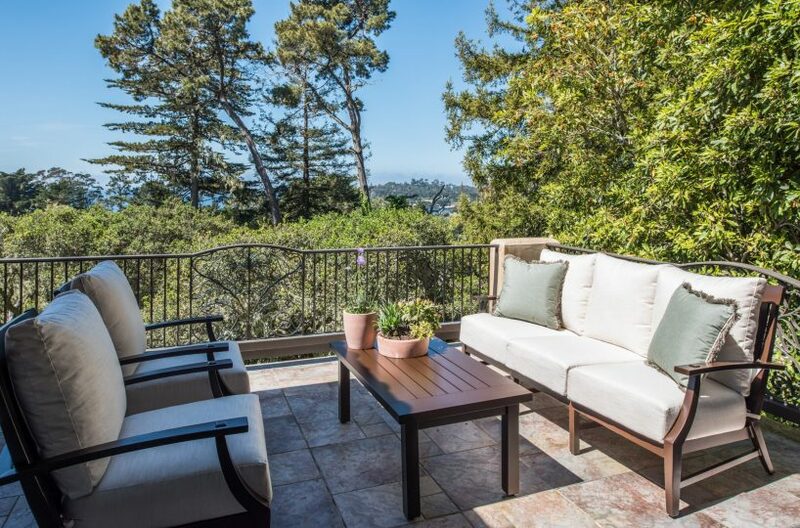 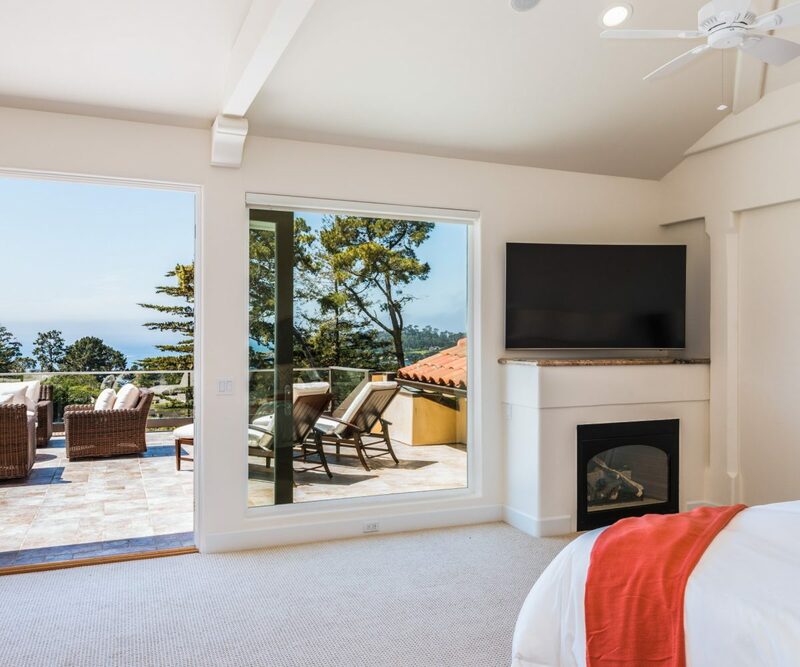 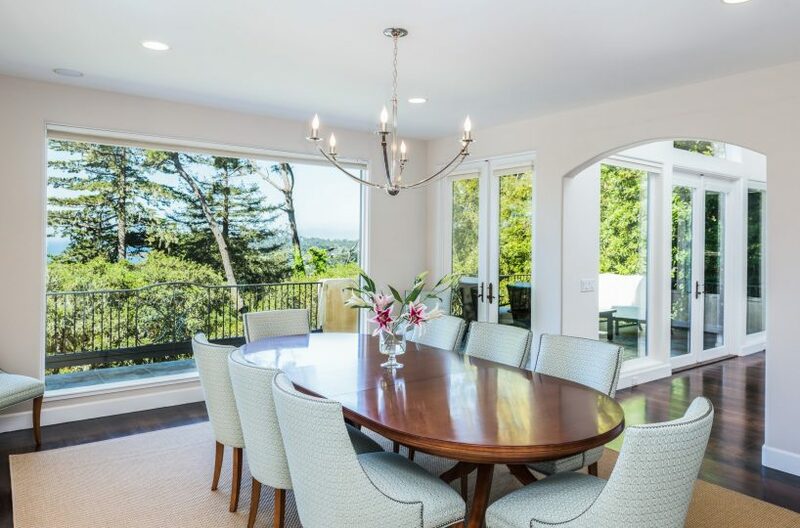 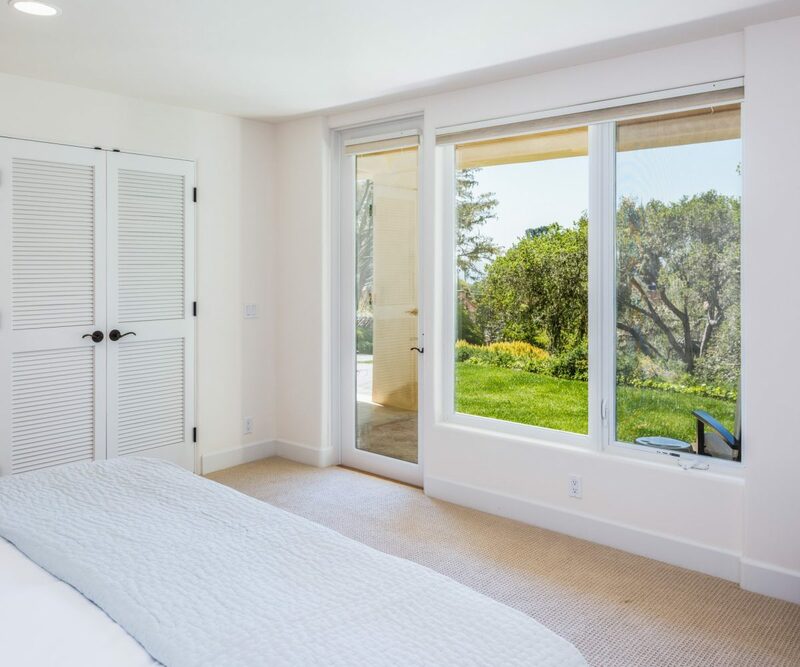 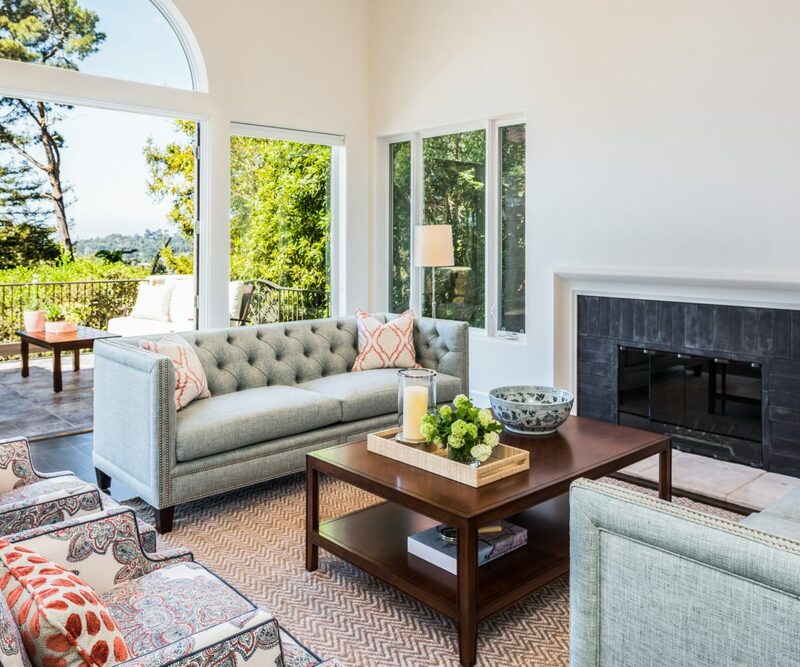 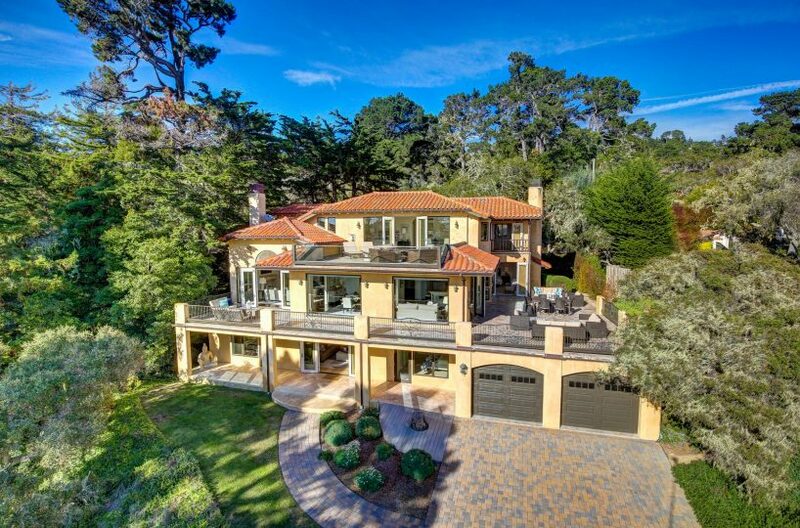 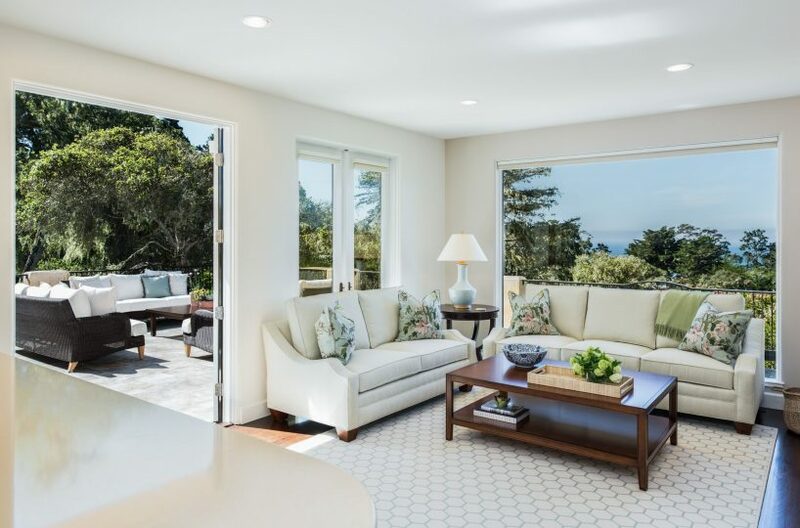 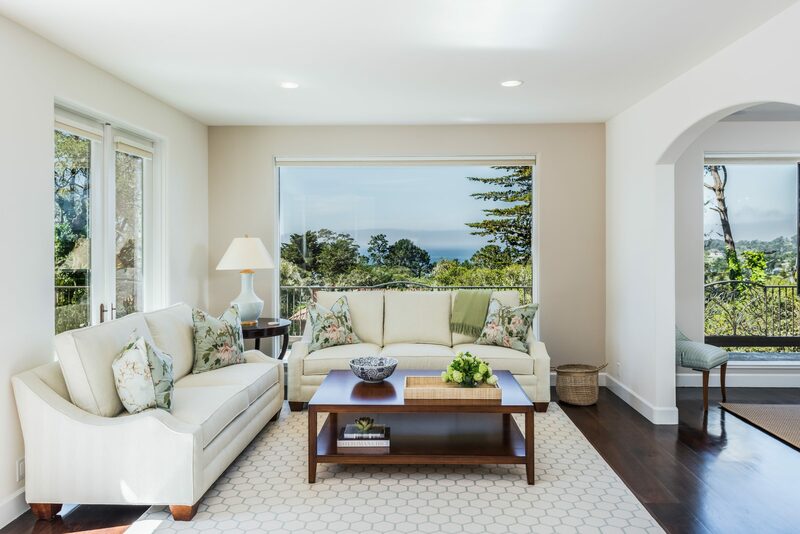 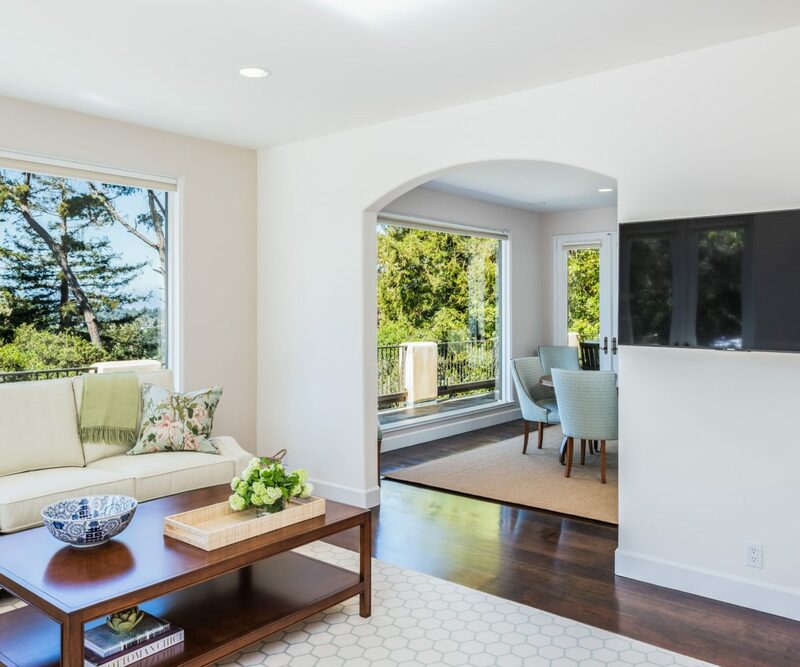 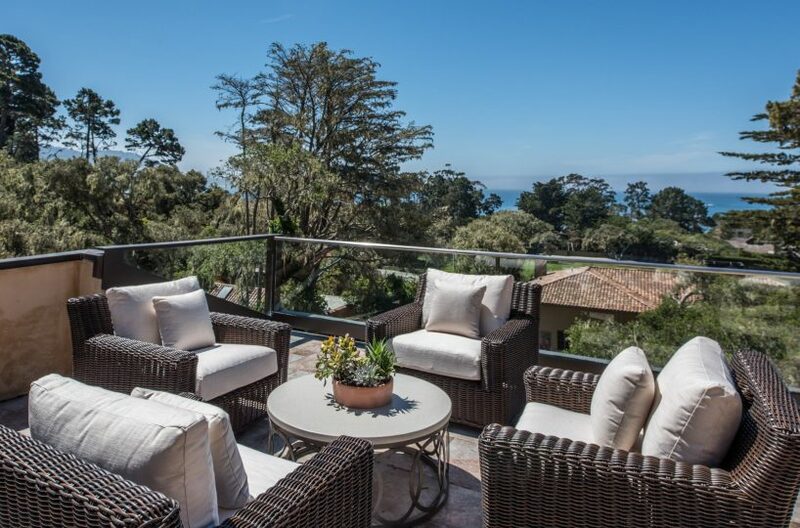 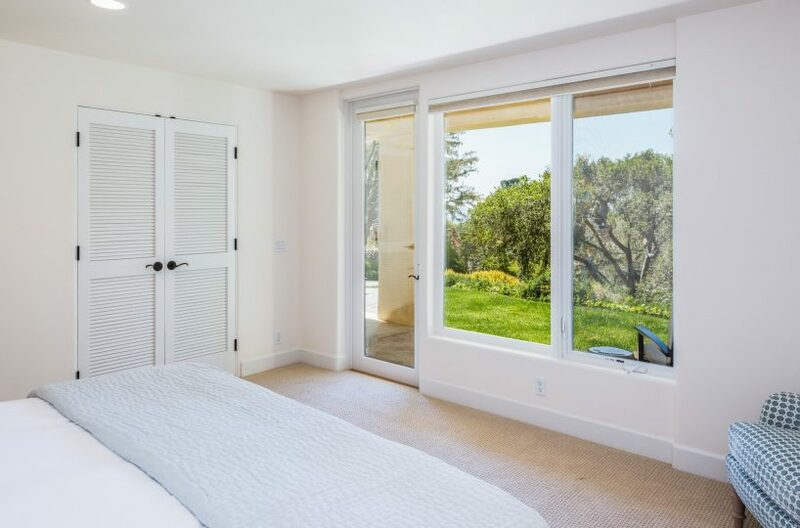 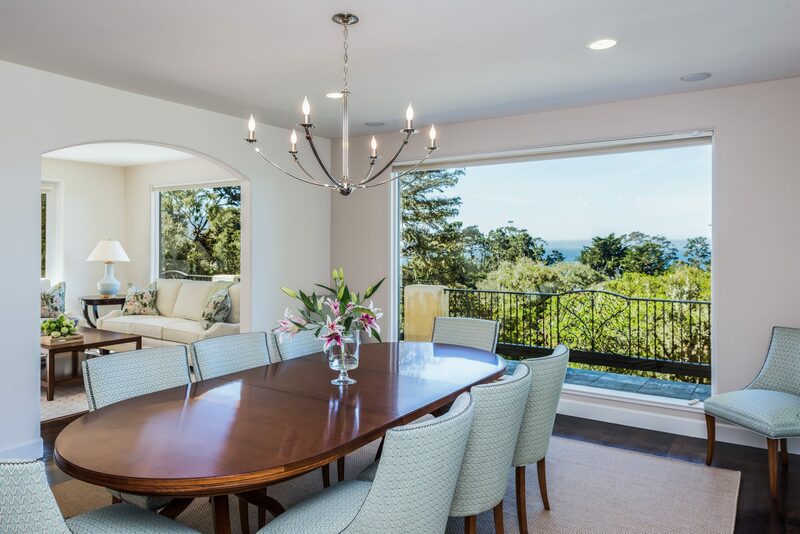 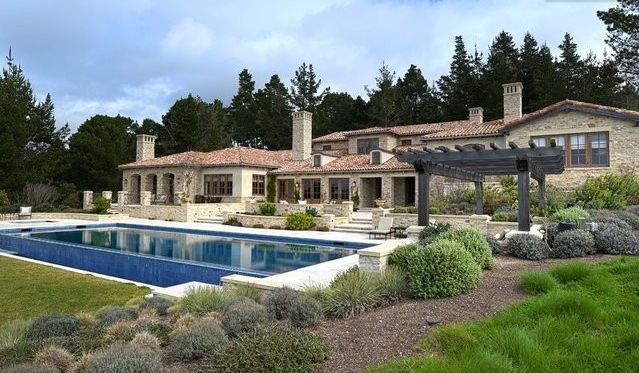 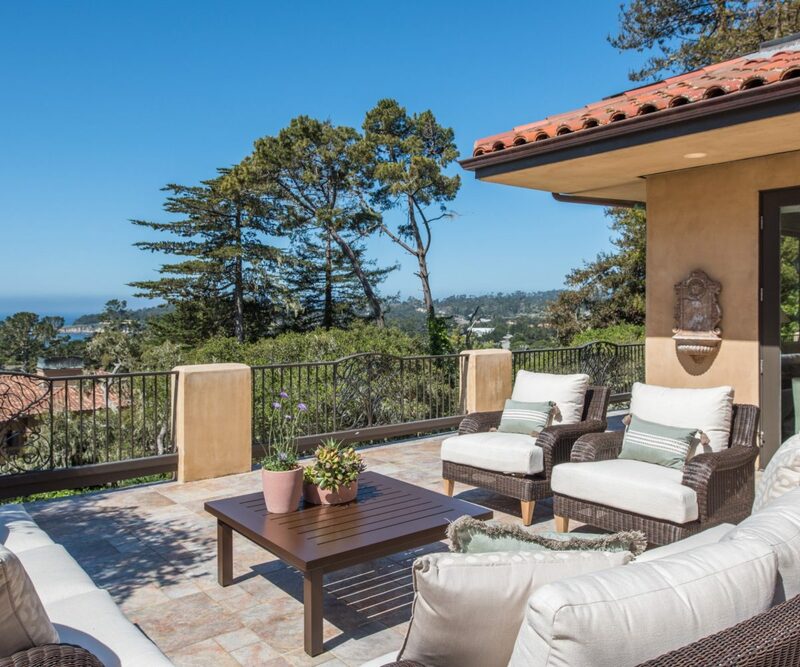 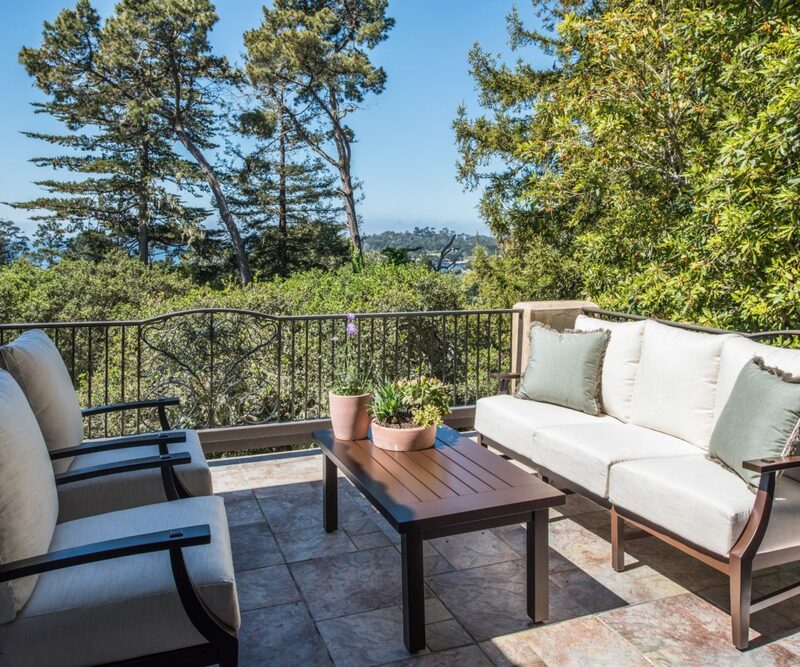 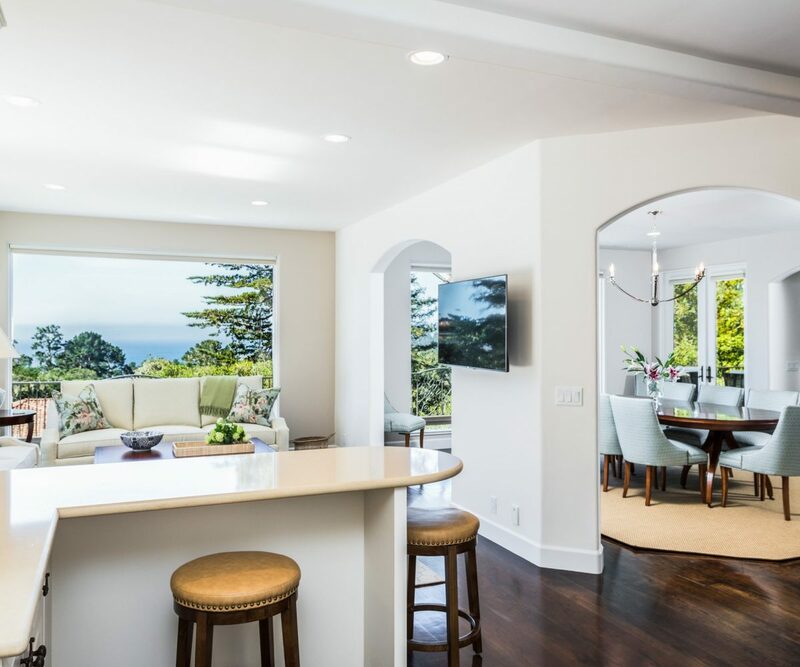 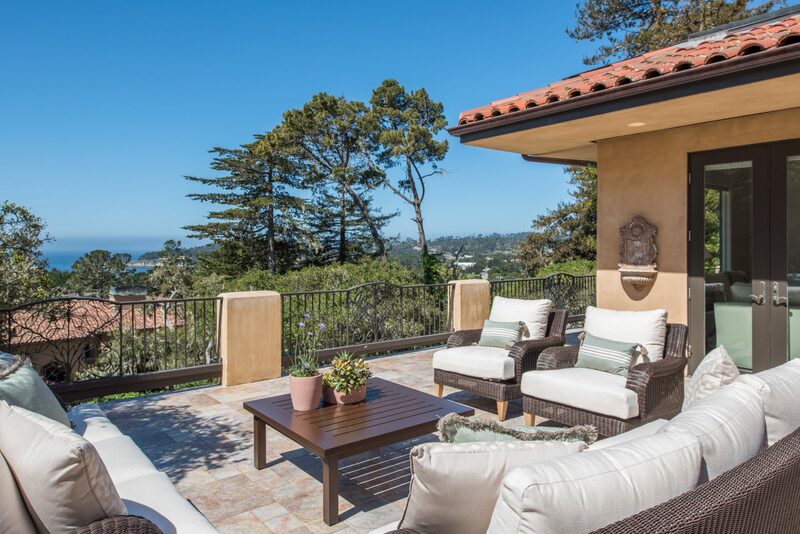 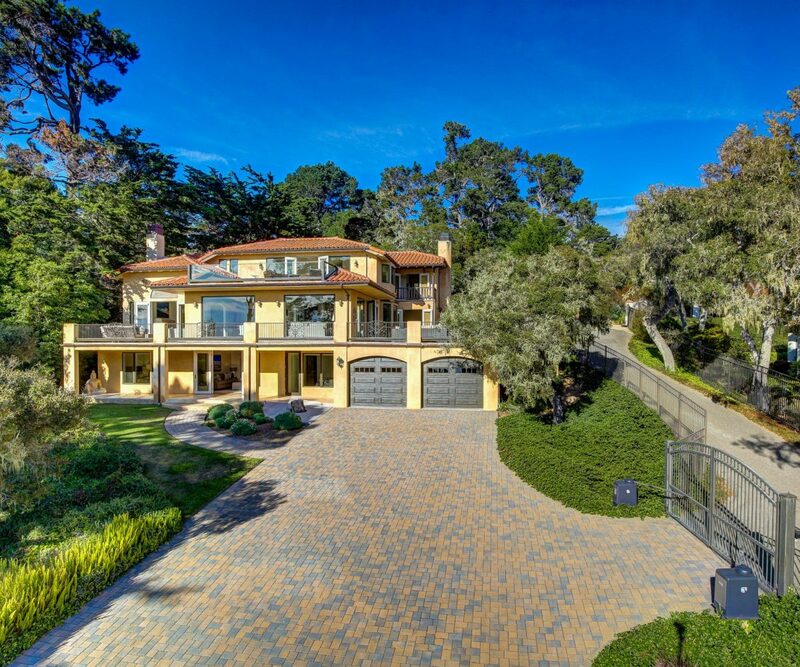 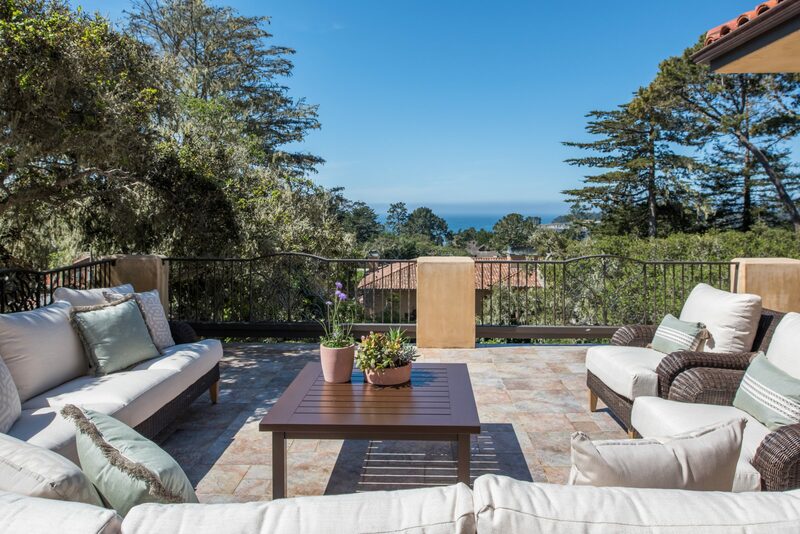 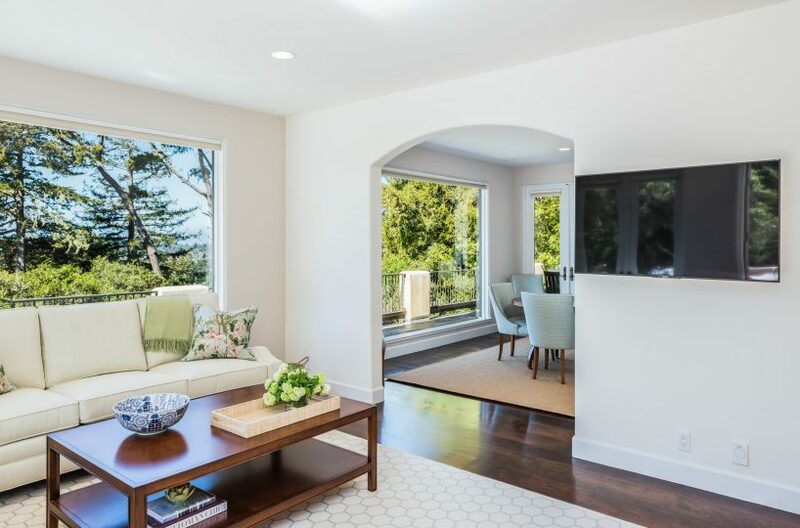 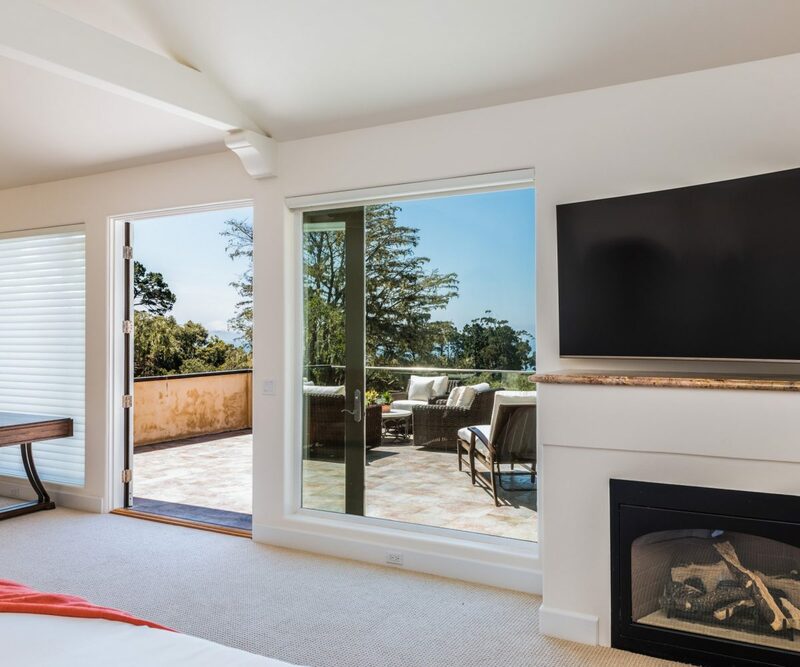 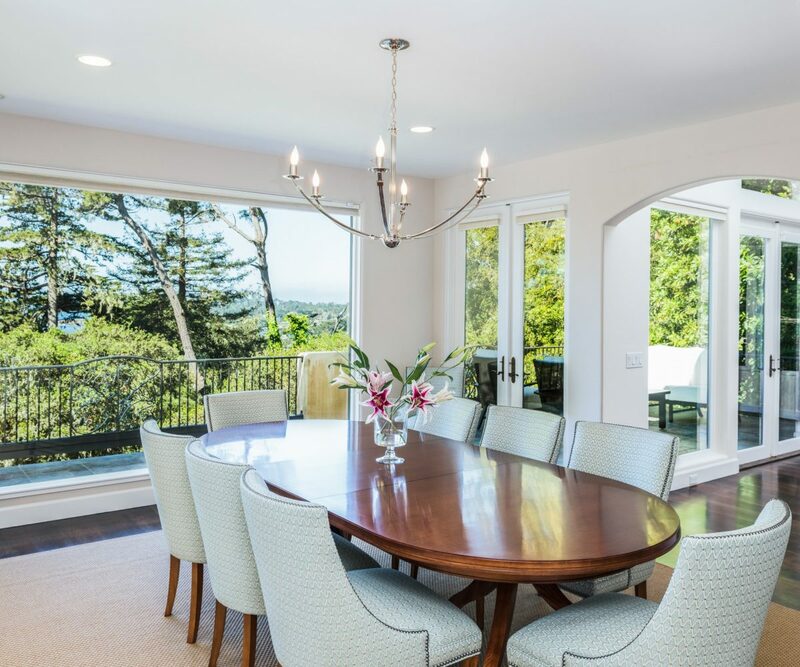 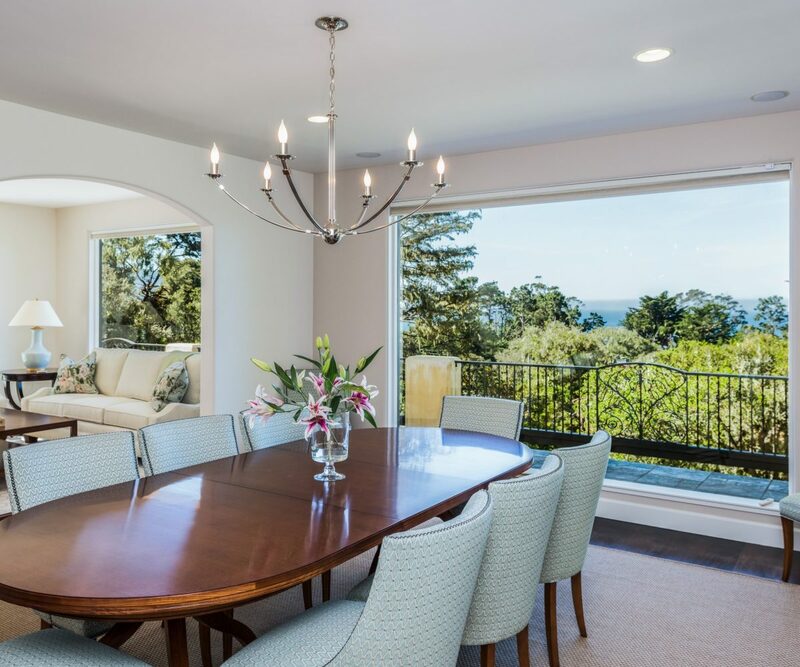 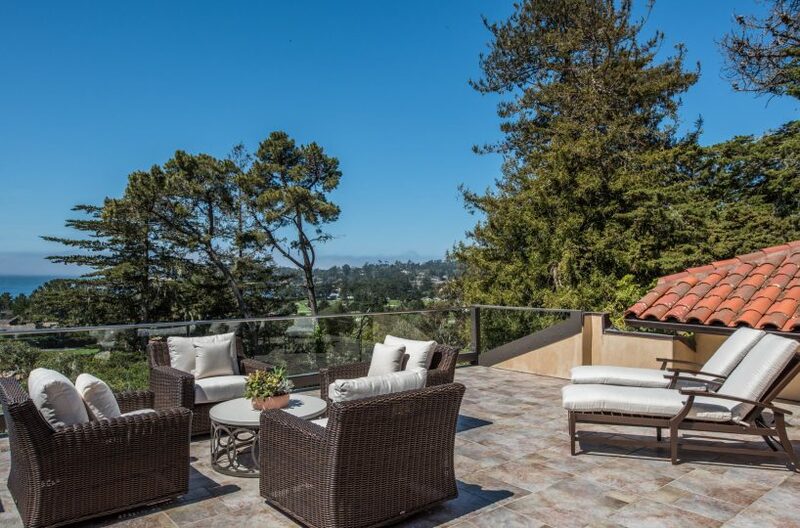 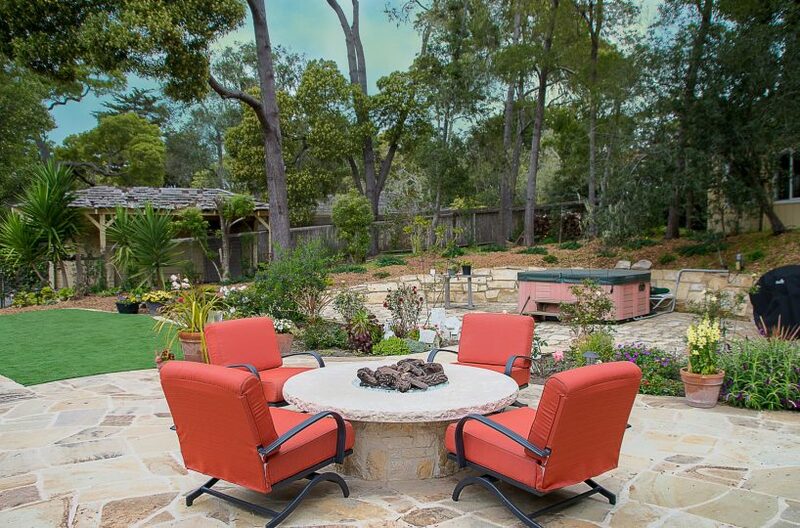 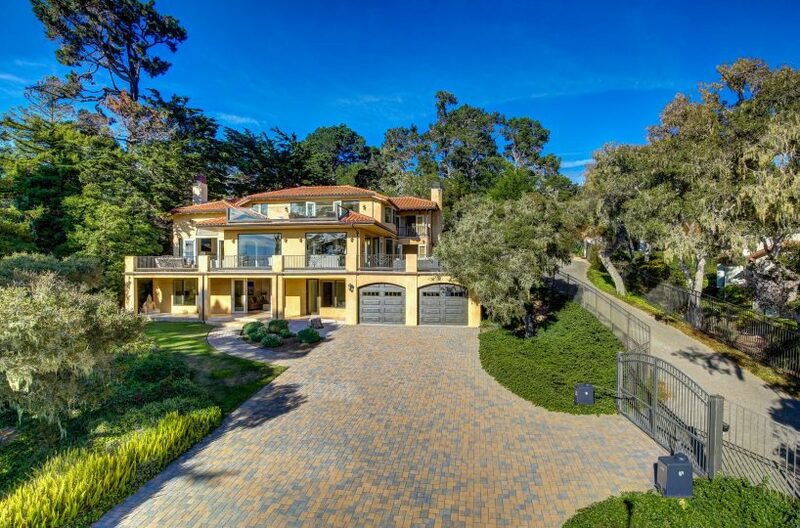 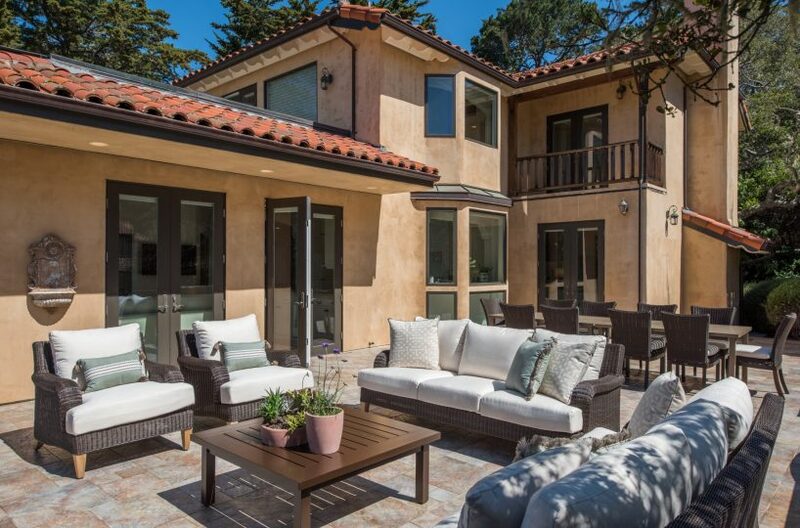 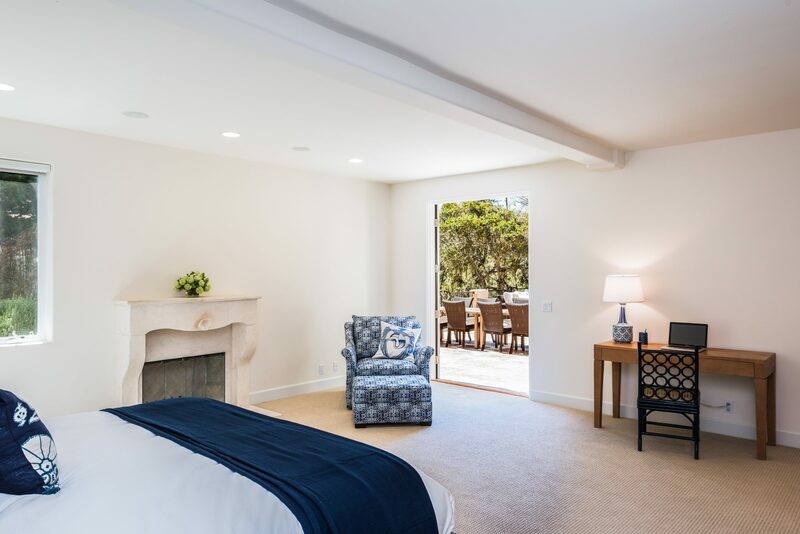 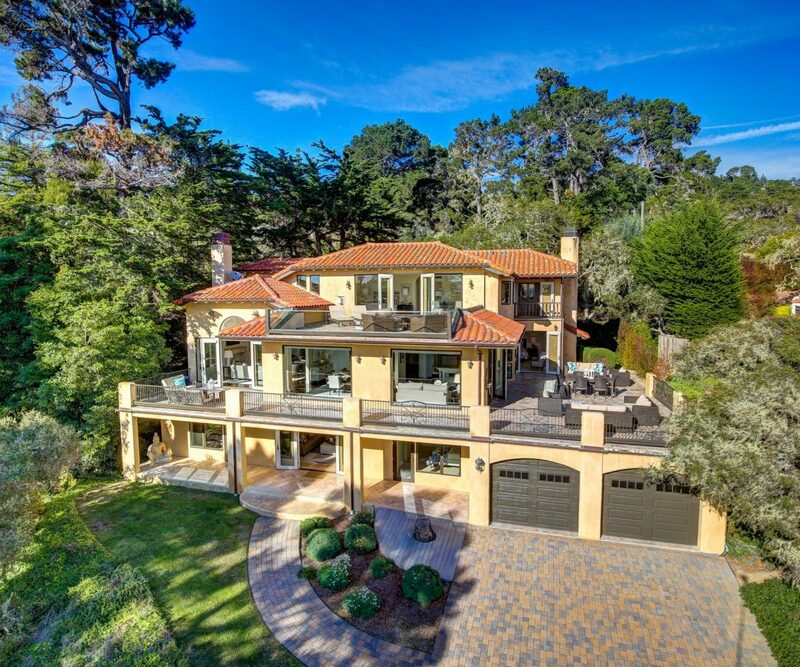 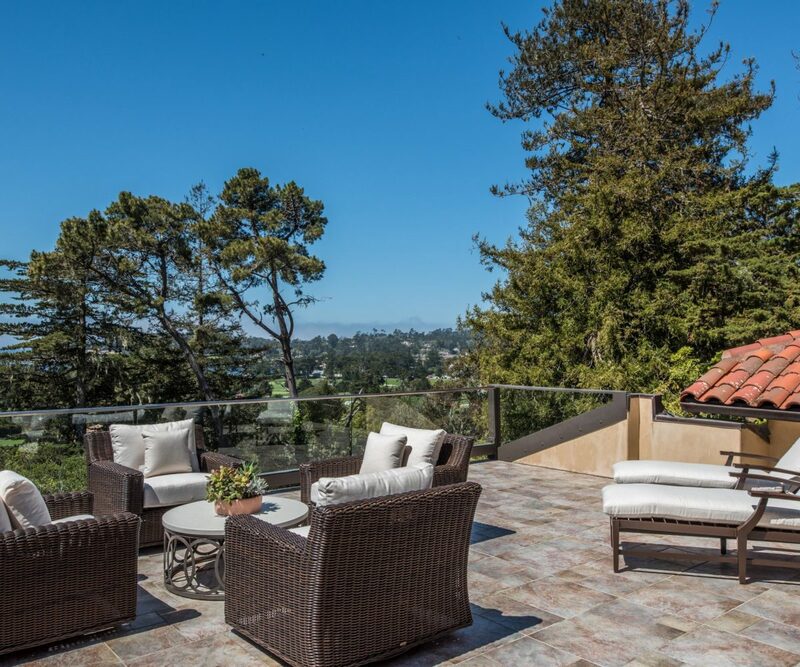 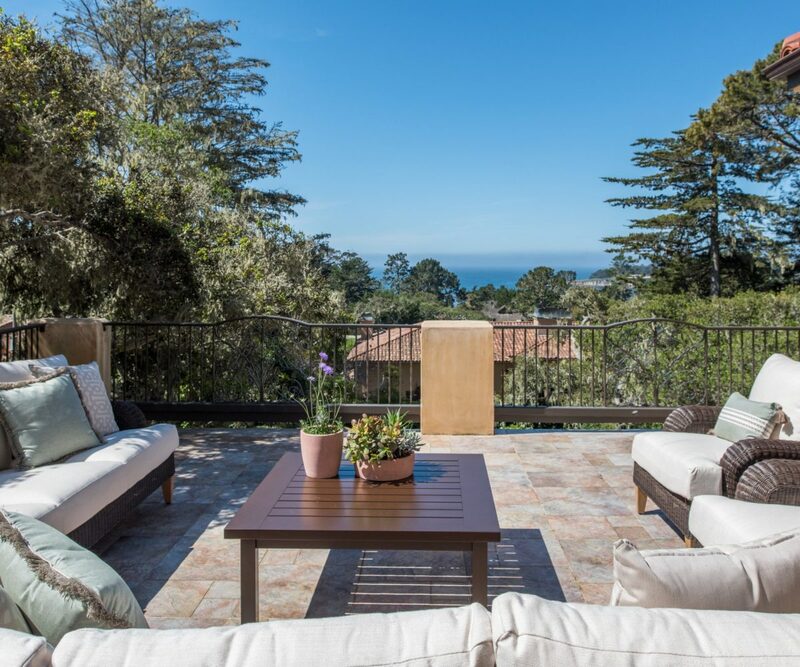 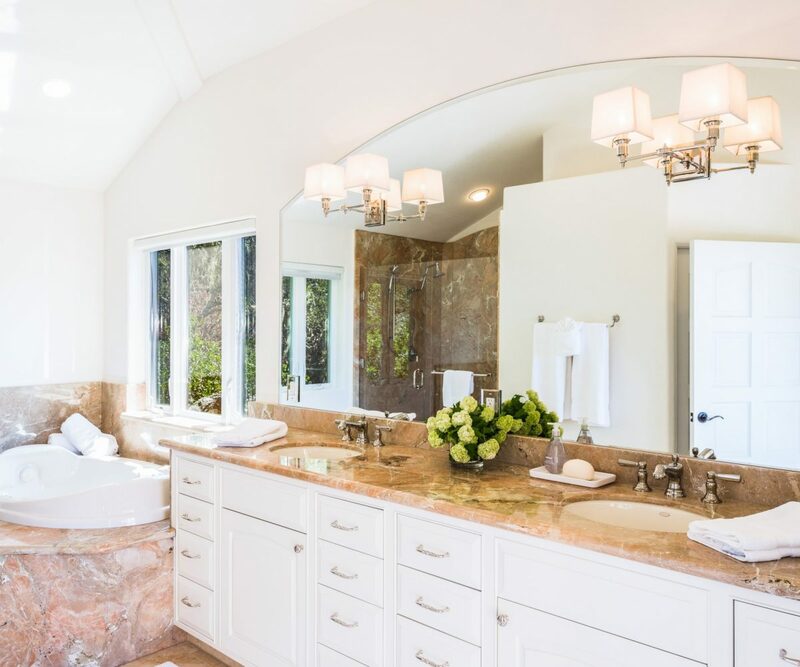 You just won’t find a house with better views, more amenities, more privacy, and closer proximity to all that Pebble Beach has to offer.